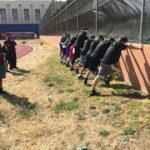 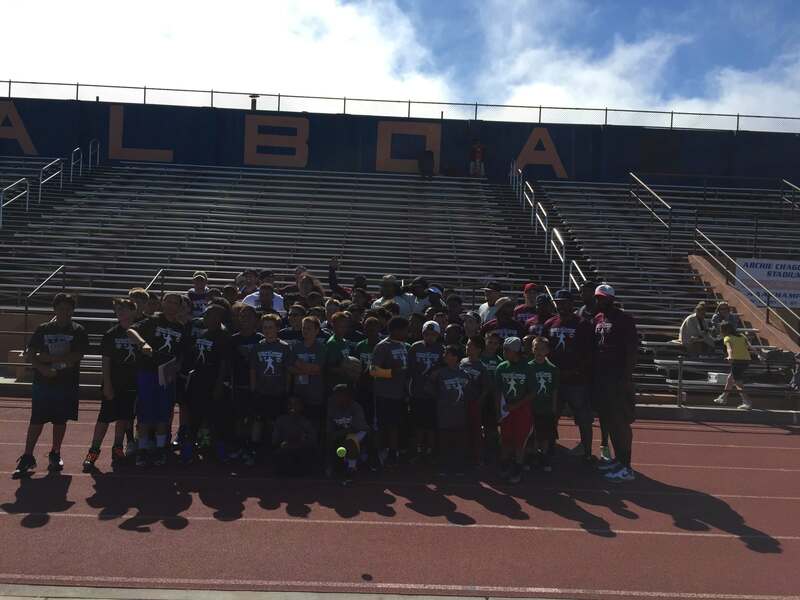 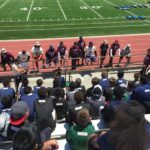 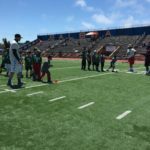 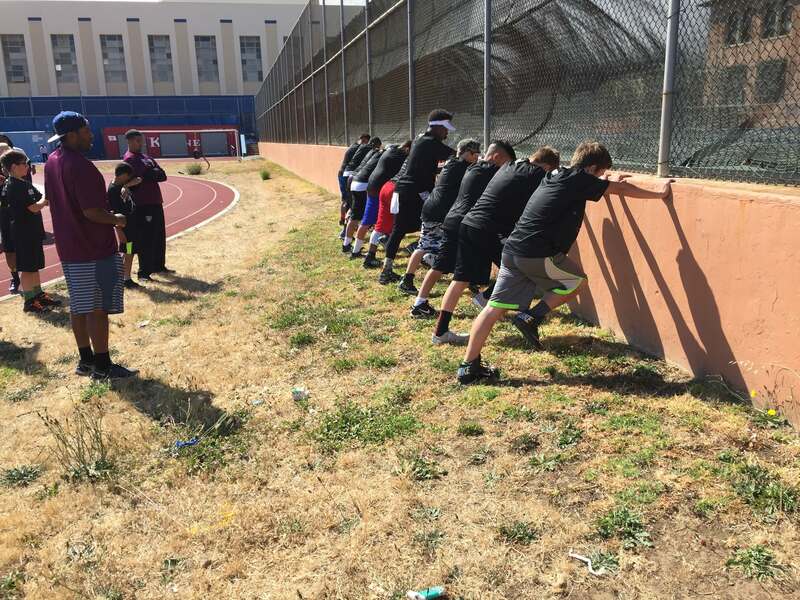 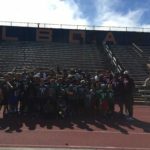 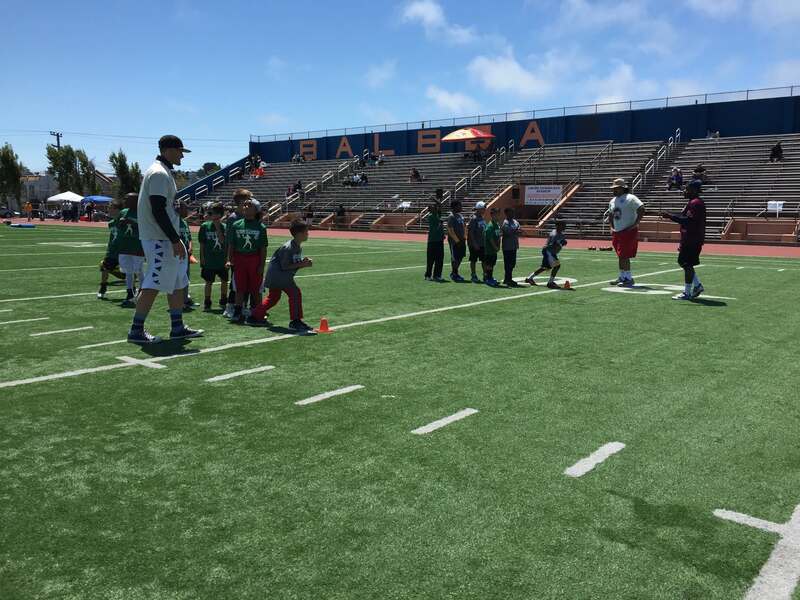 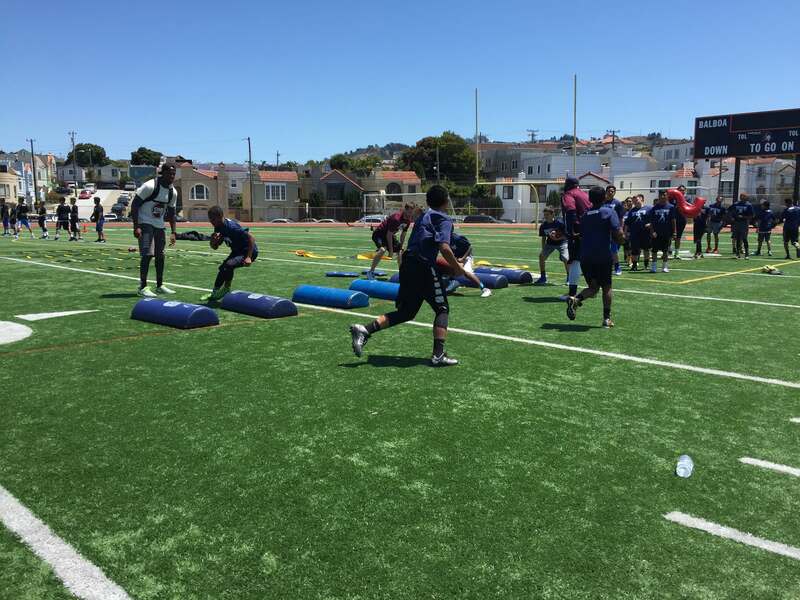 CASEProject hosted a free day long football skills camp for Bay Area youth in July 2016. 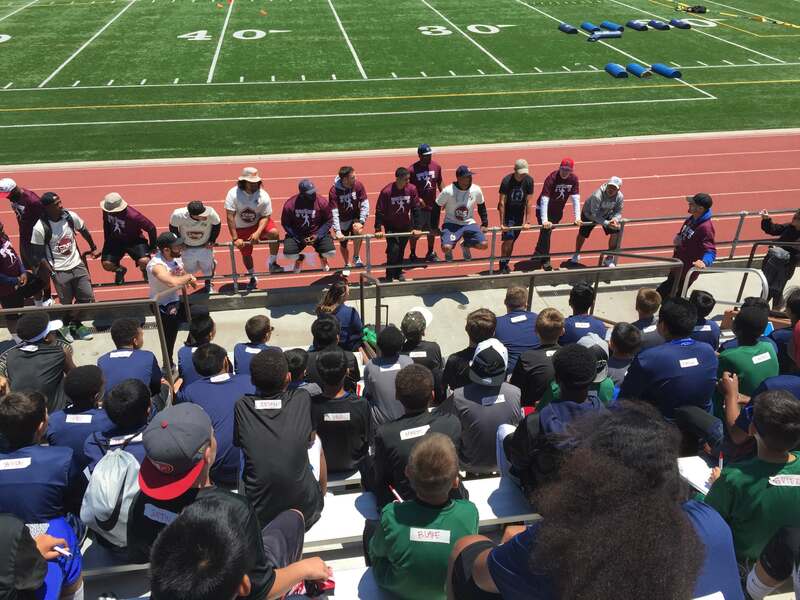 The participants received instruction from a skilled coaching staff on the fundamentals of football. 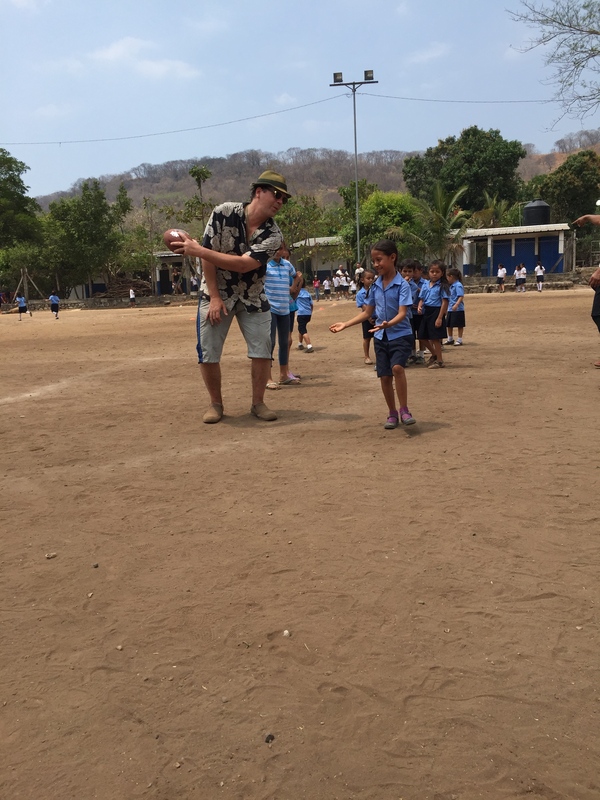 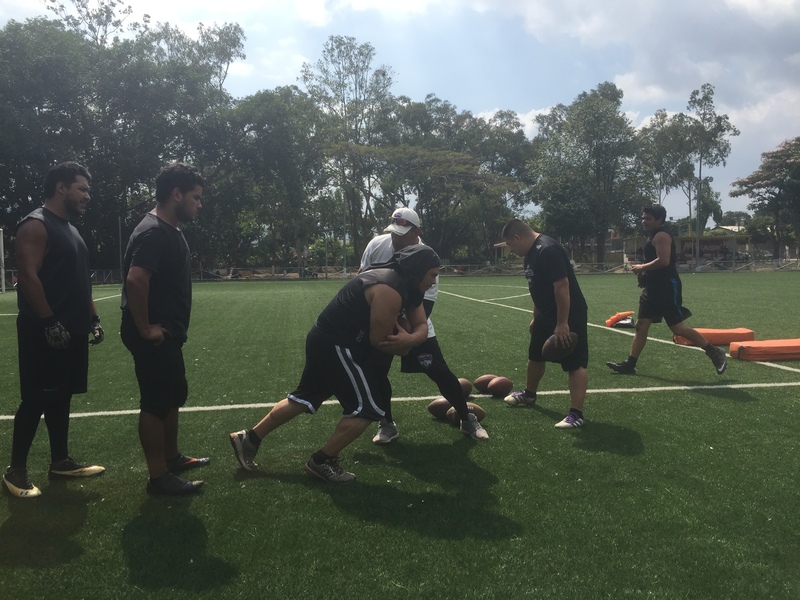 CASEProject participated in our partner organization Salvadorian Association of American Intermural Football’s (SAAIF) Fifth Annual Training Camp. 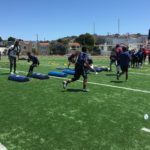 CASEProject members brought their specialized quarterback and wide receiver skills to run drills and work with individual players during the camp. 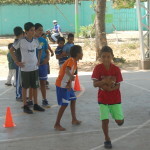 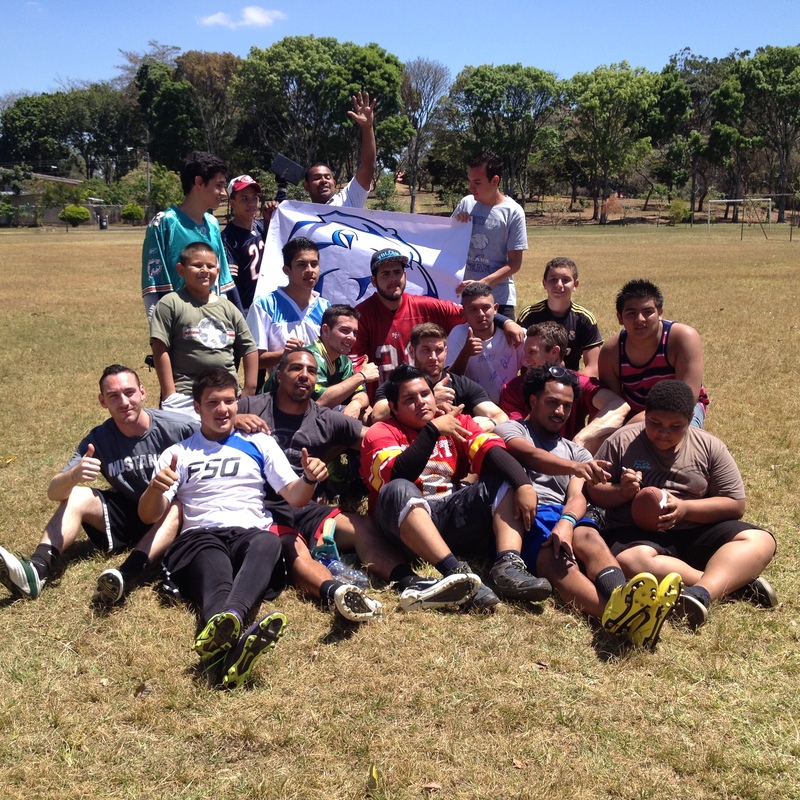 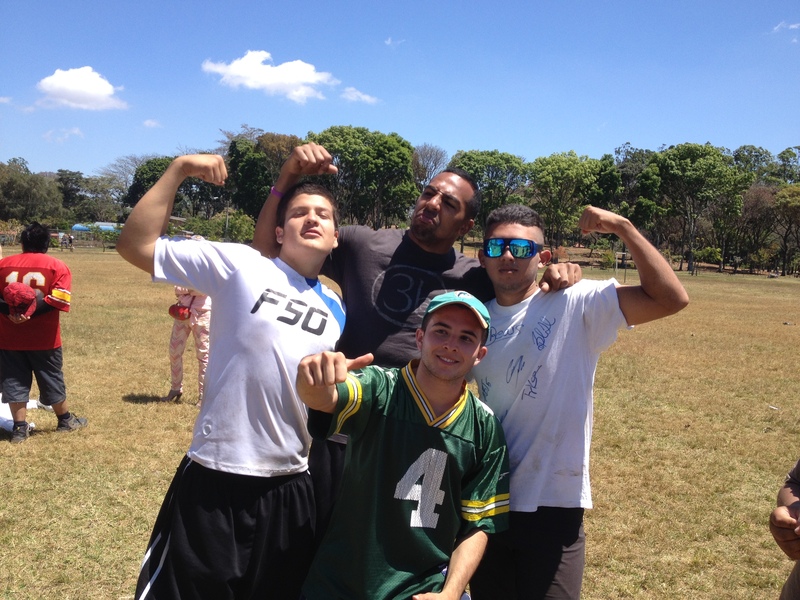 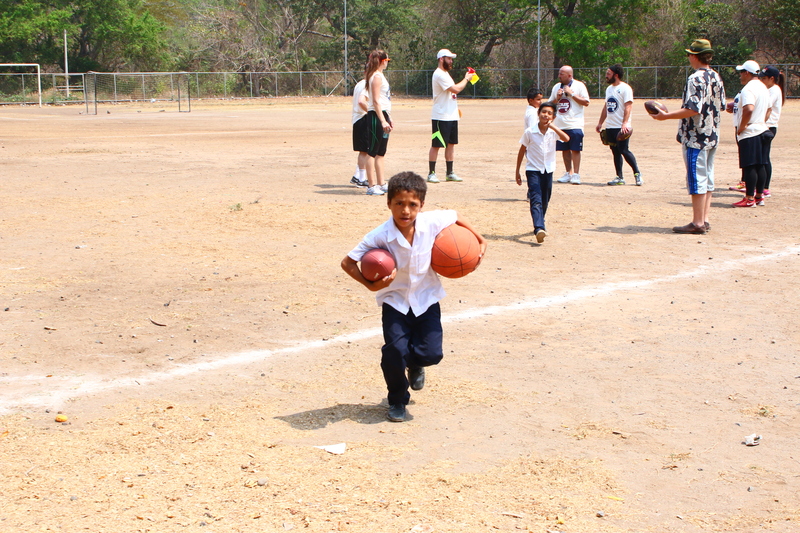 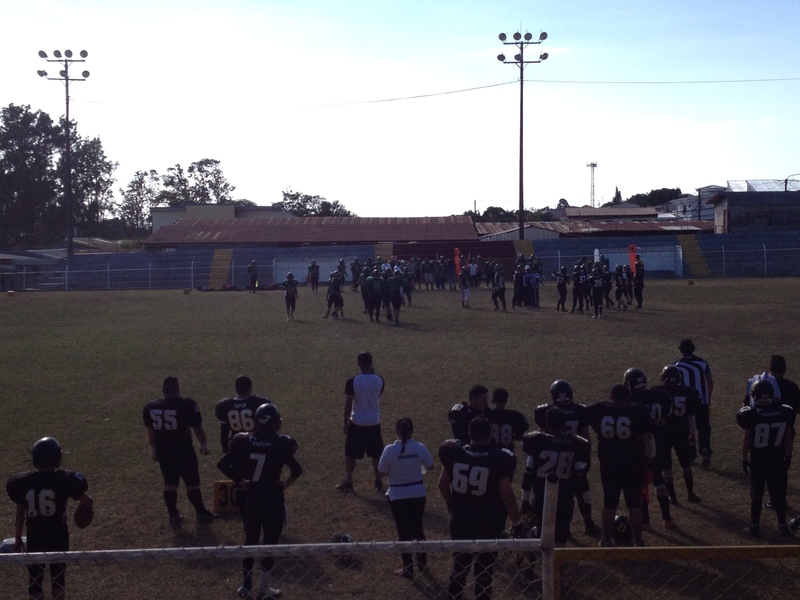 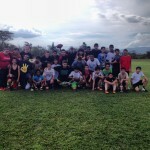 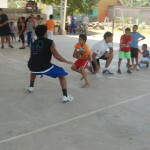 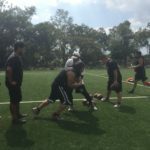 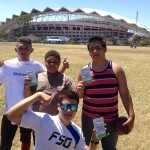 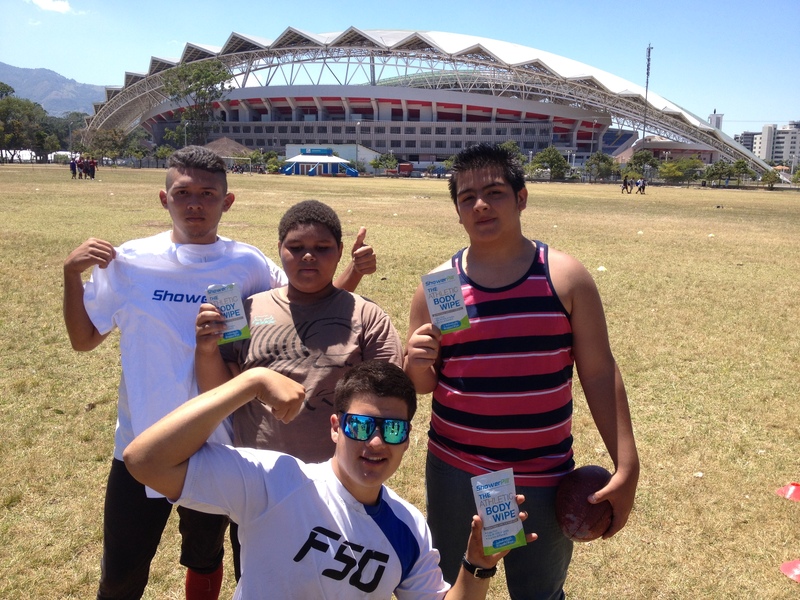 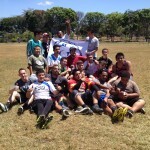 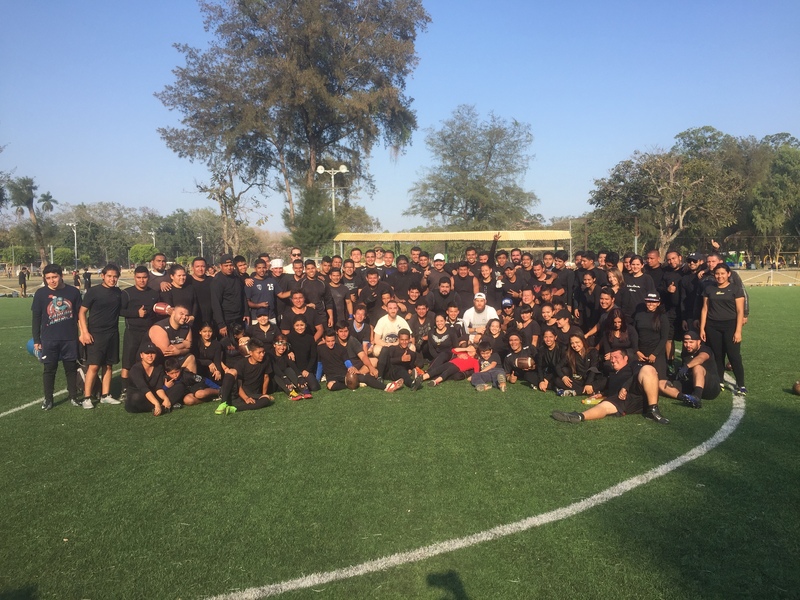 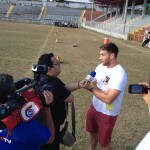 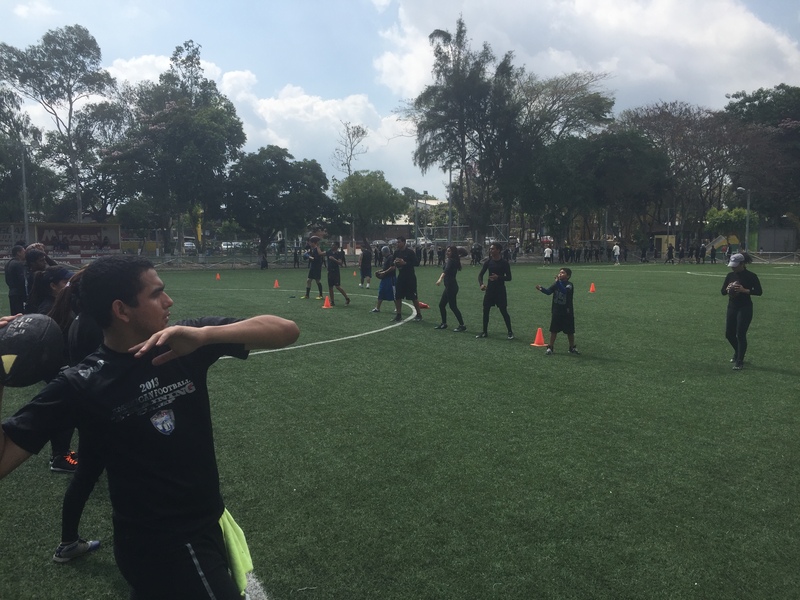 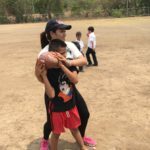 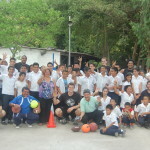 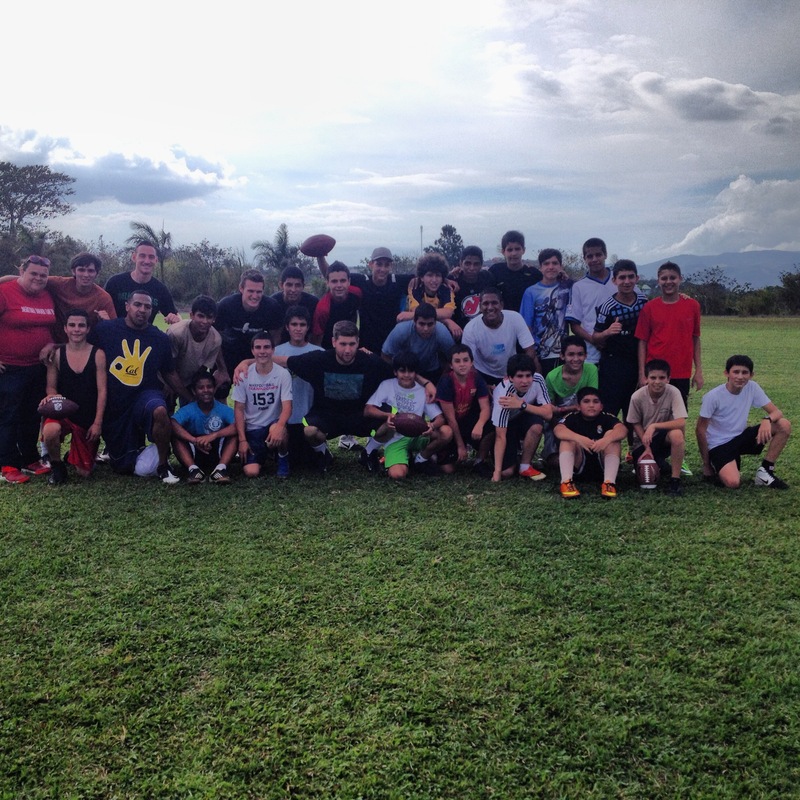 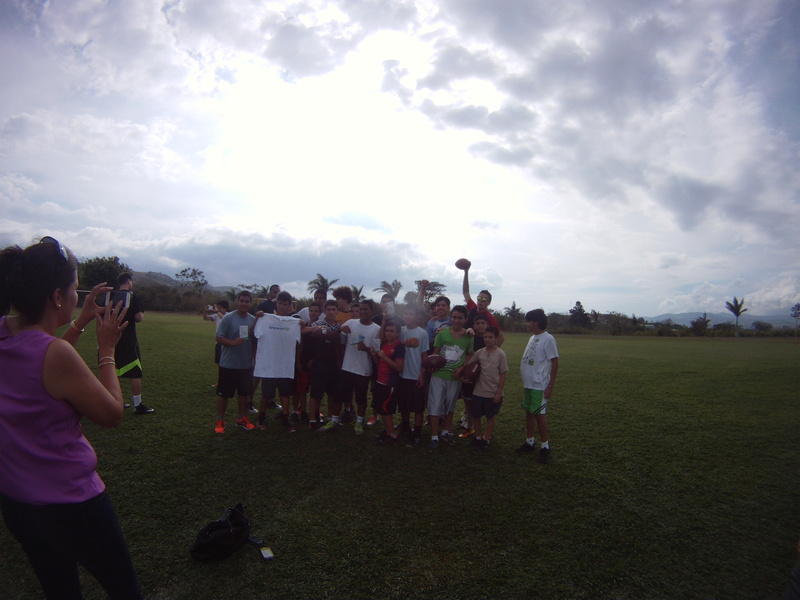 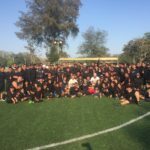 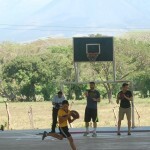 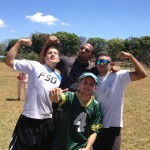 With around 150 participants ages 14 and up, the camp demonstrated the growing influence and enthusiasm for American football in El Salvador. 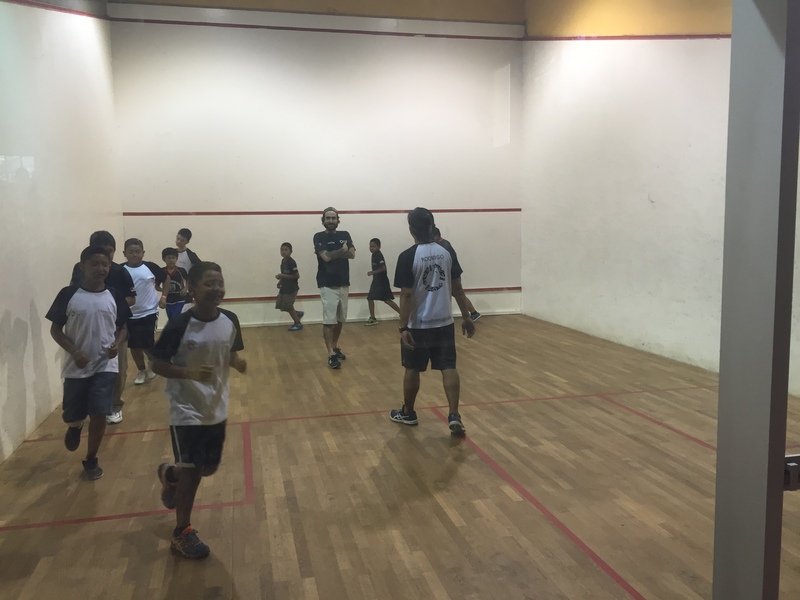 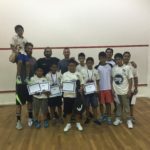 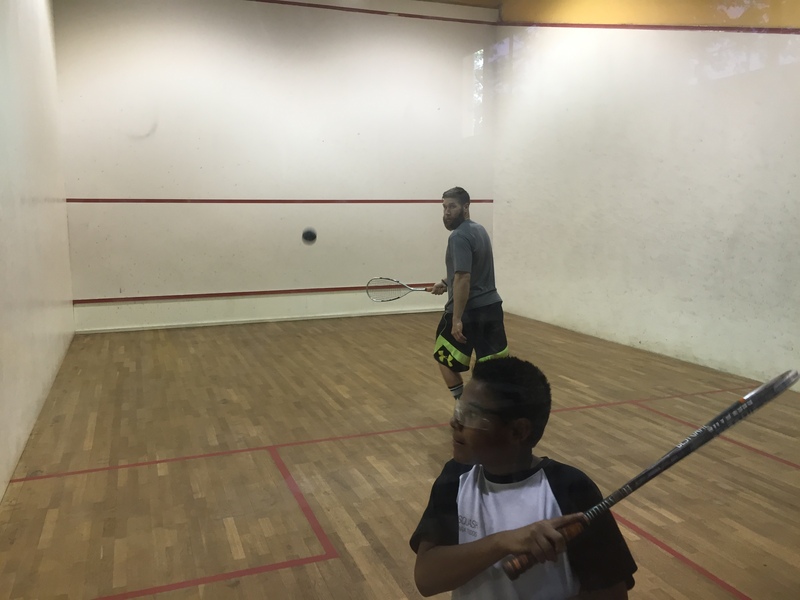 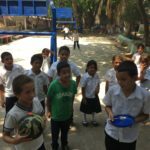 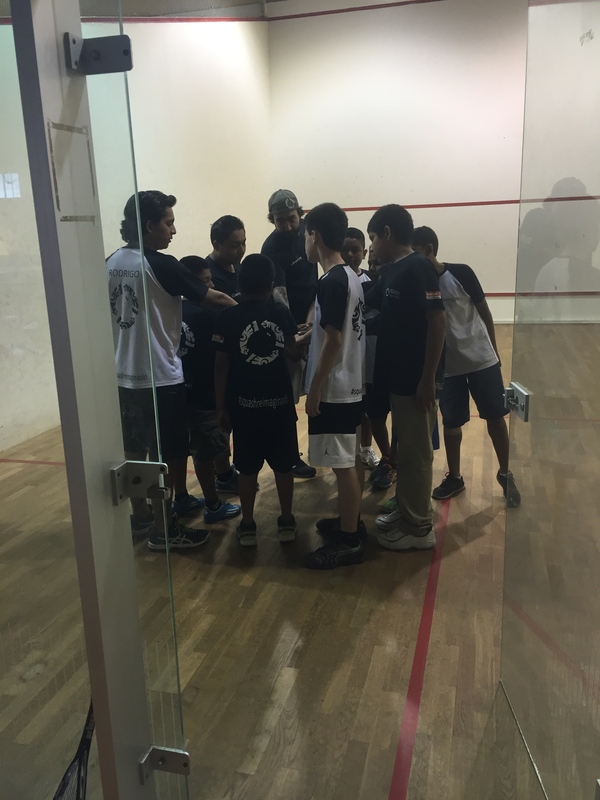 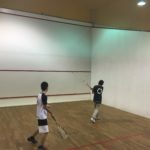 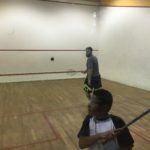 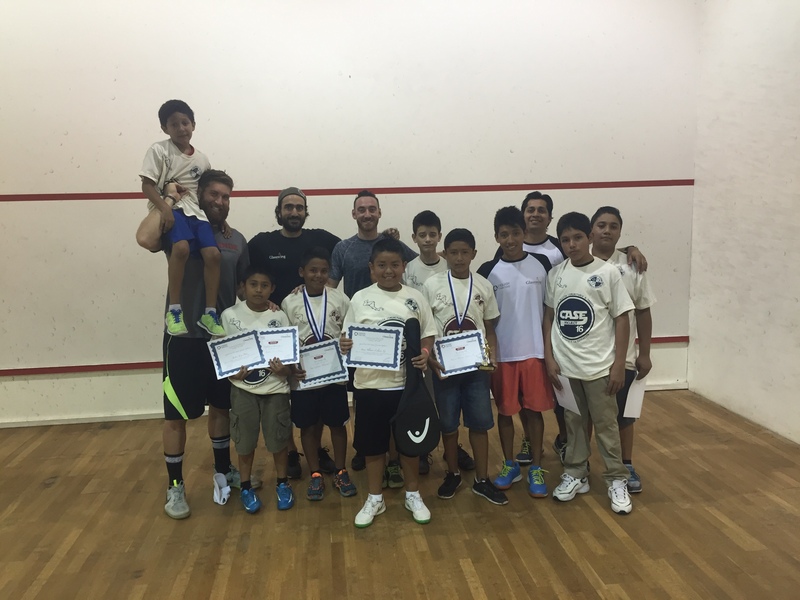 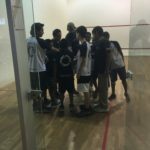 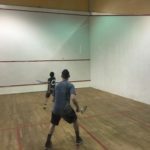 CASEProject got the opportunity to join Squash Para Todos for a full afternoon of squash practice, Squash Para Todos is an afterschool squash program for the youth of Santa Tecla. 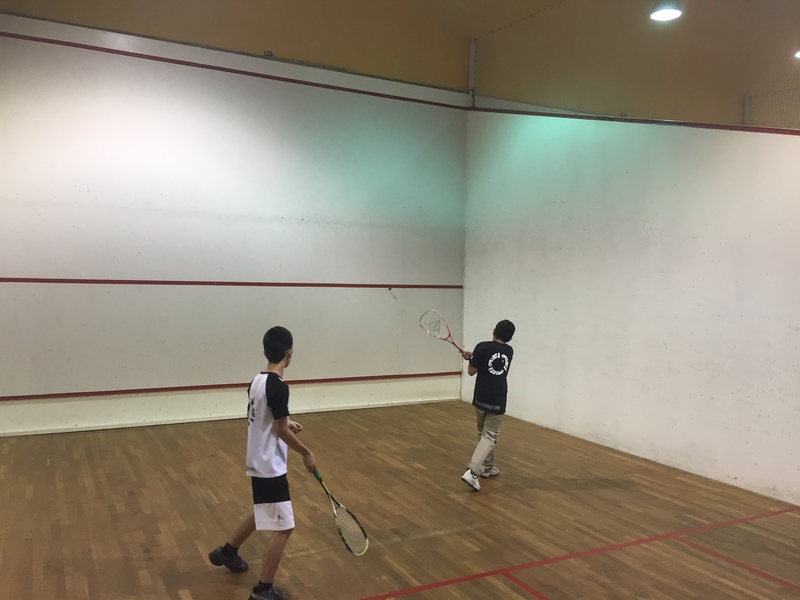 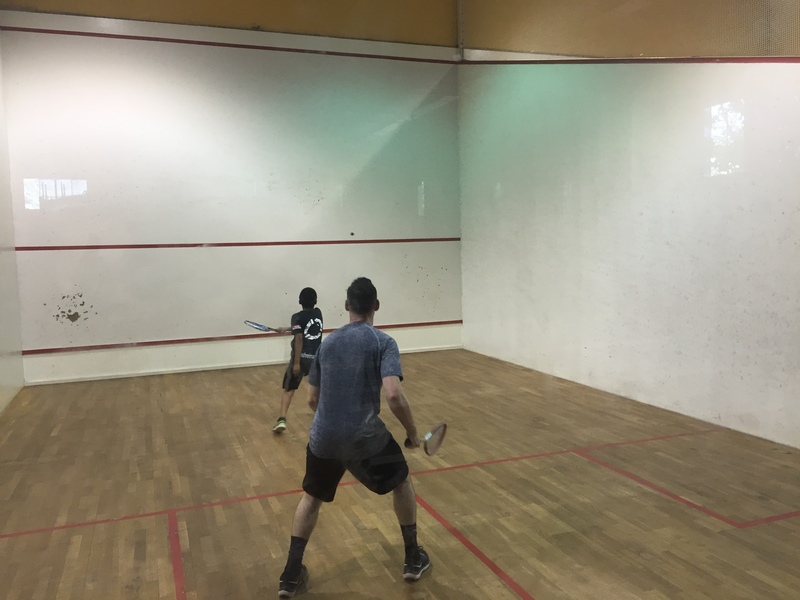 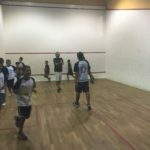 It was a great day; members of CASE got the chance to test their squash skills in friendly squash games with the young players. 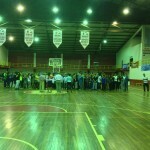 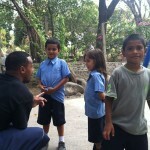 It was inspiring witness the positive impact of this awesome afterschool program on these students. 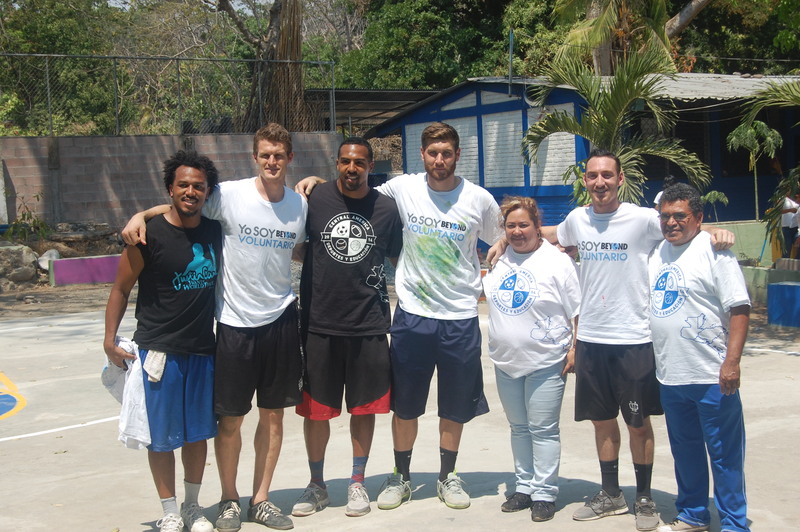 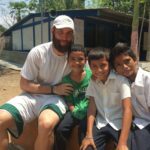 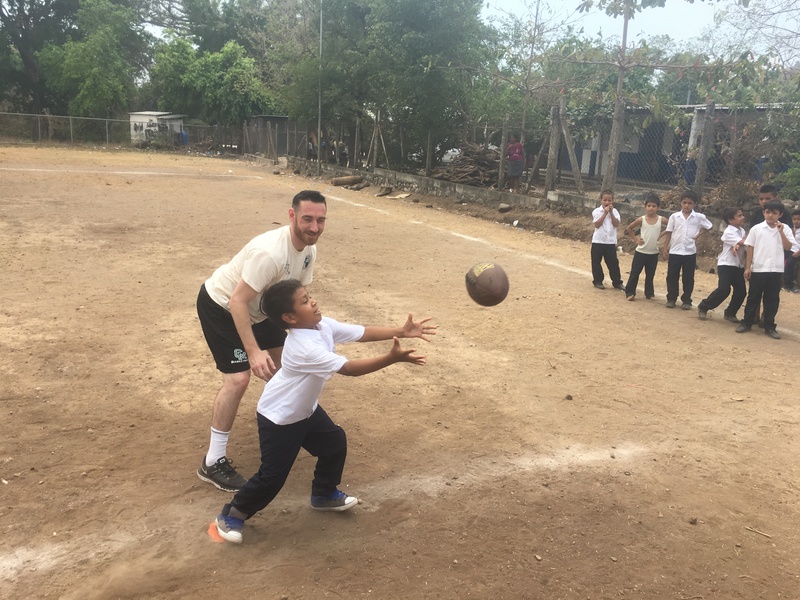 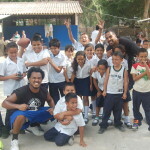 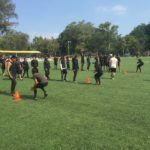 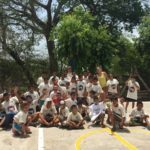 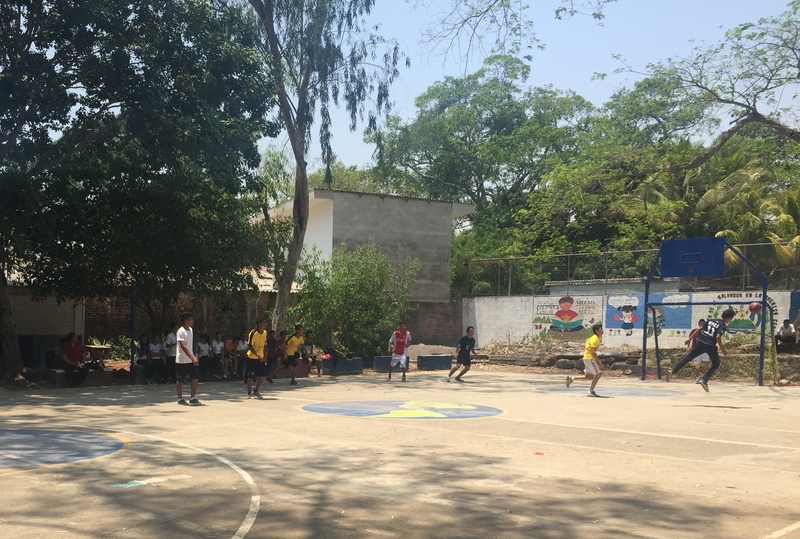 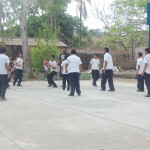 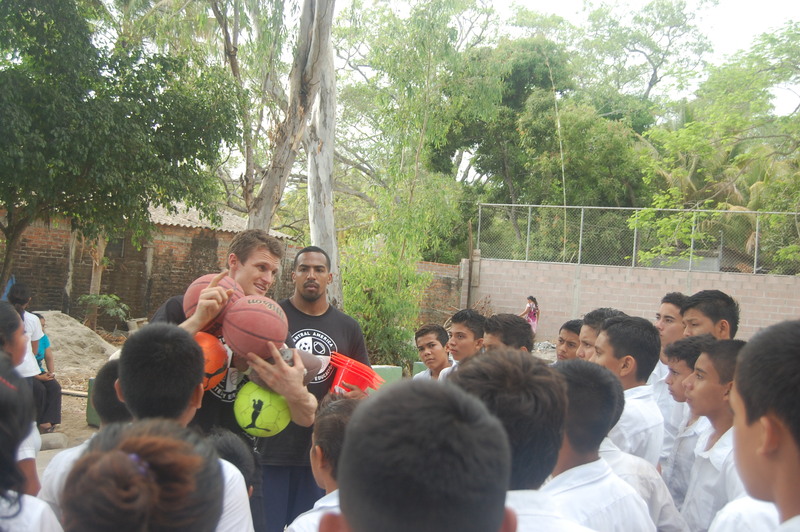 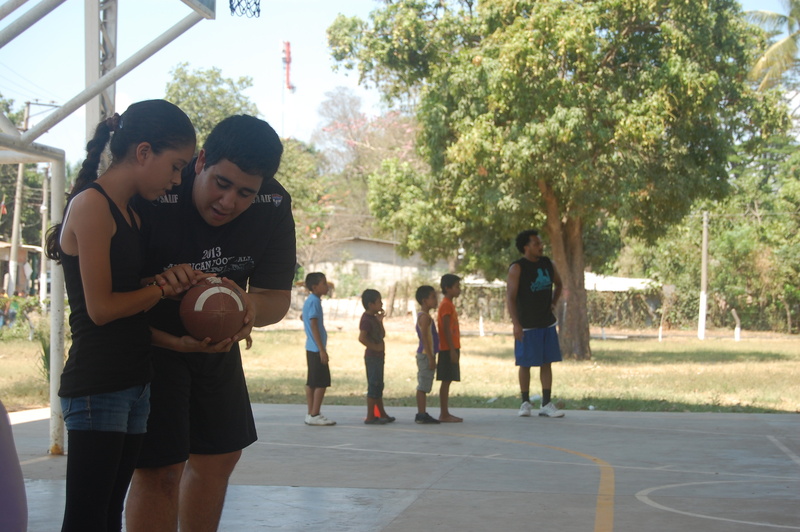 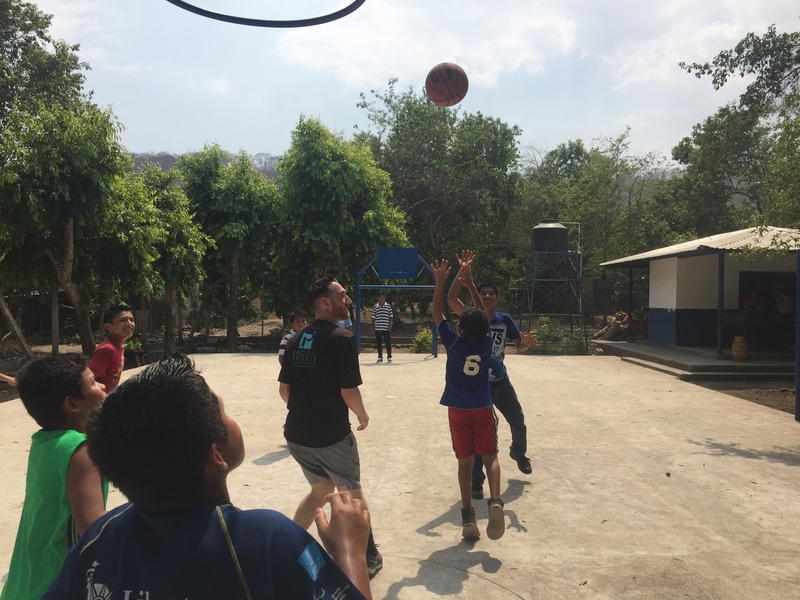 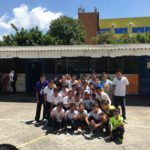 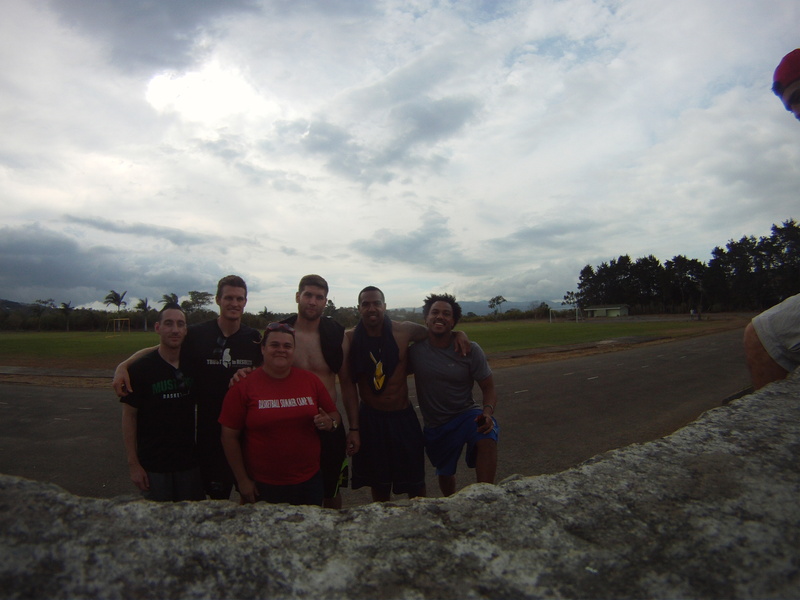 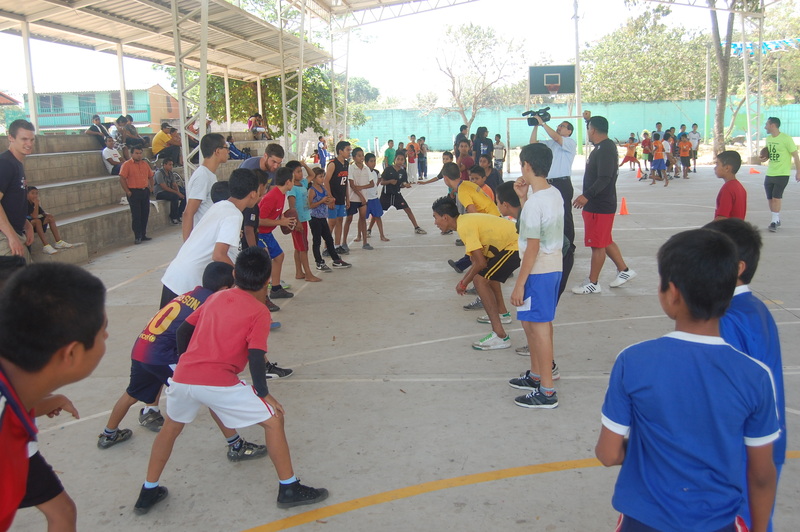 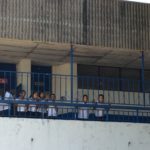 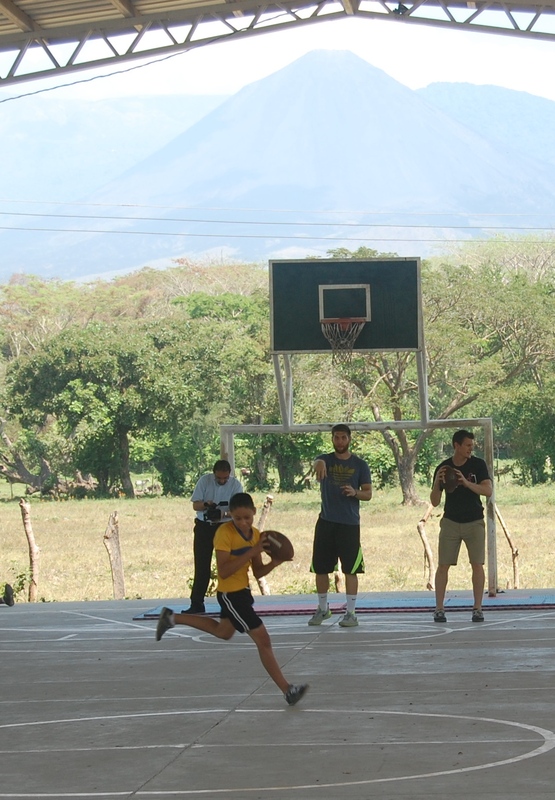 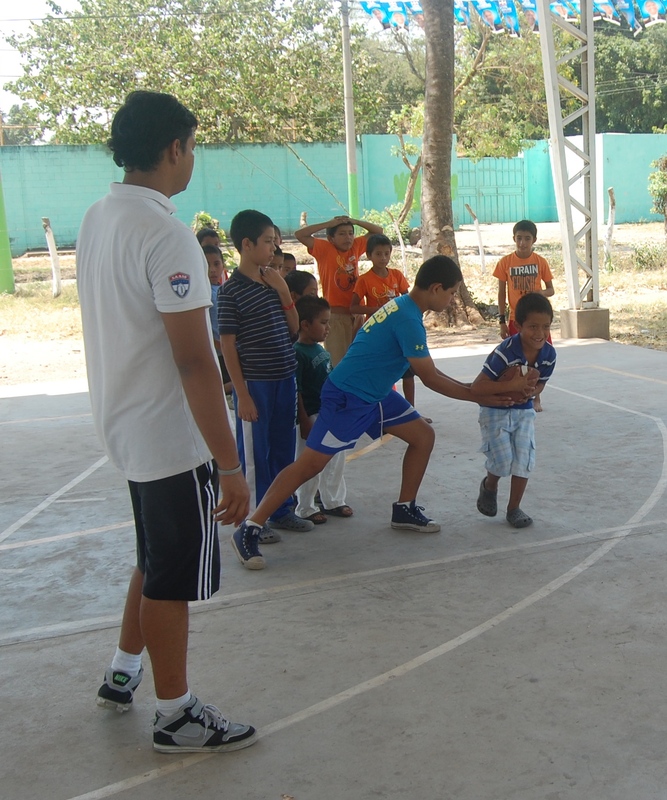 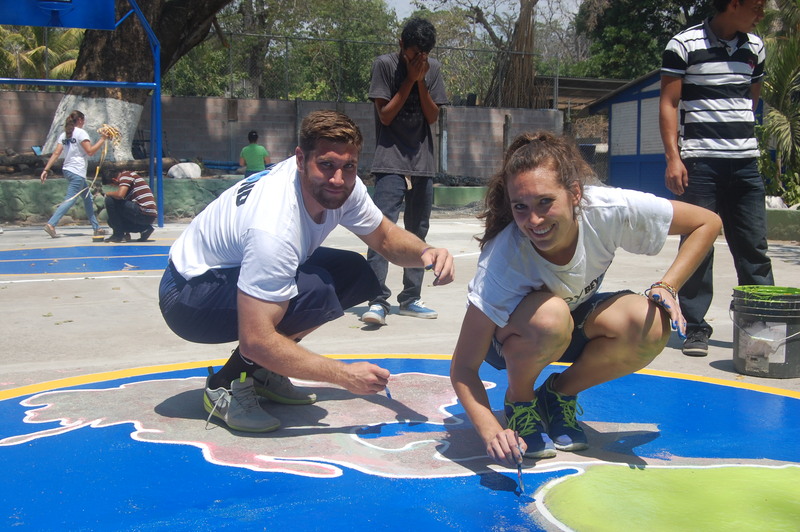 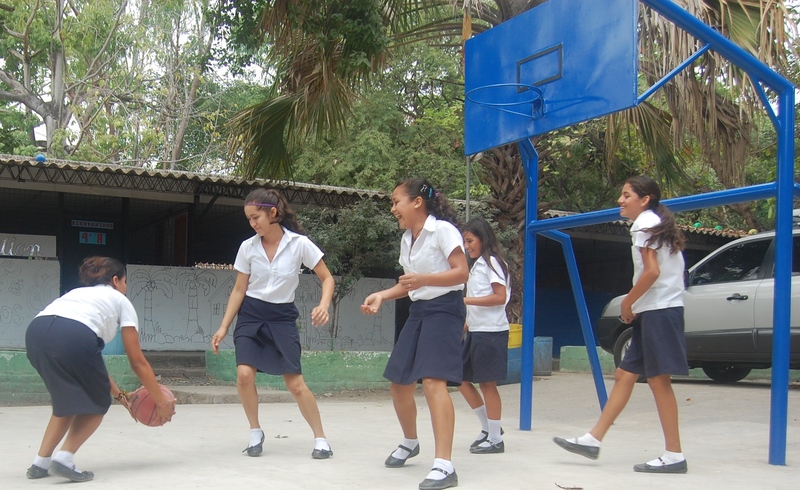 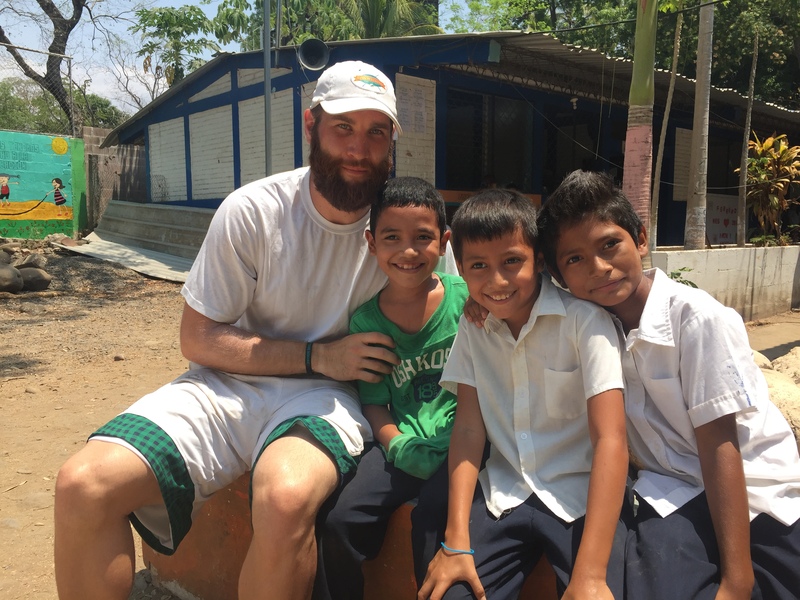 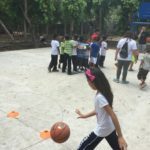 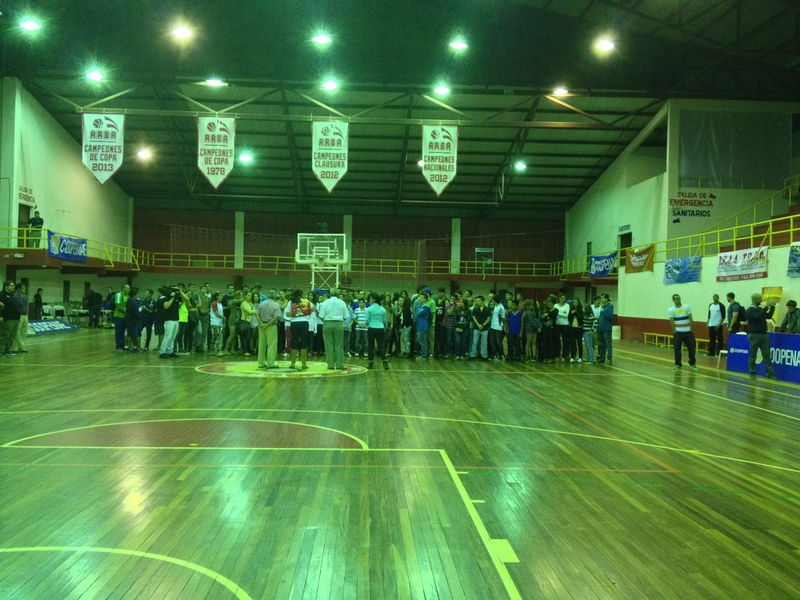 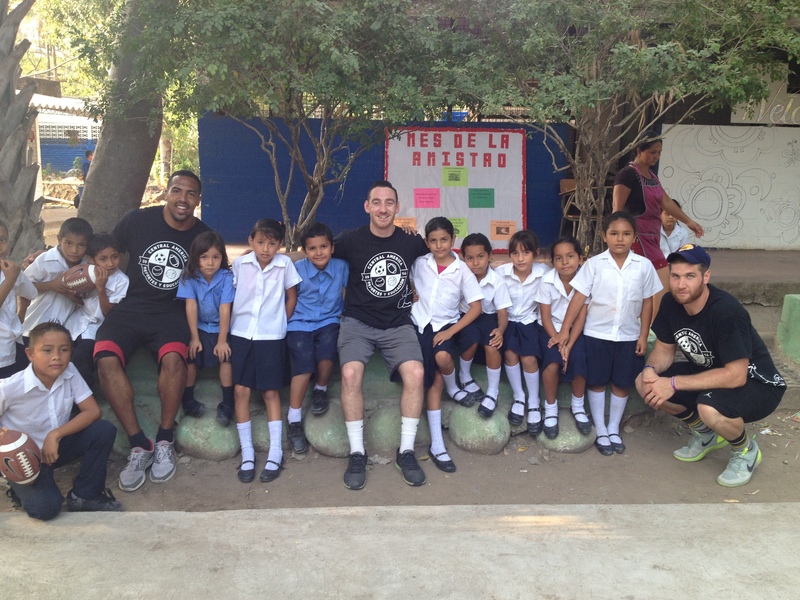 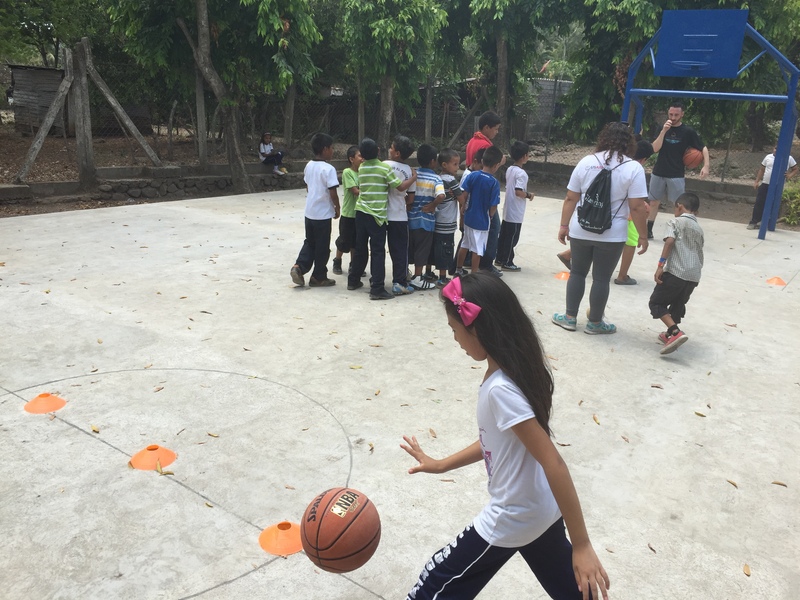 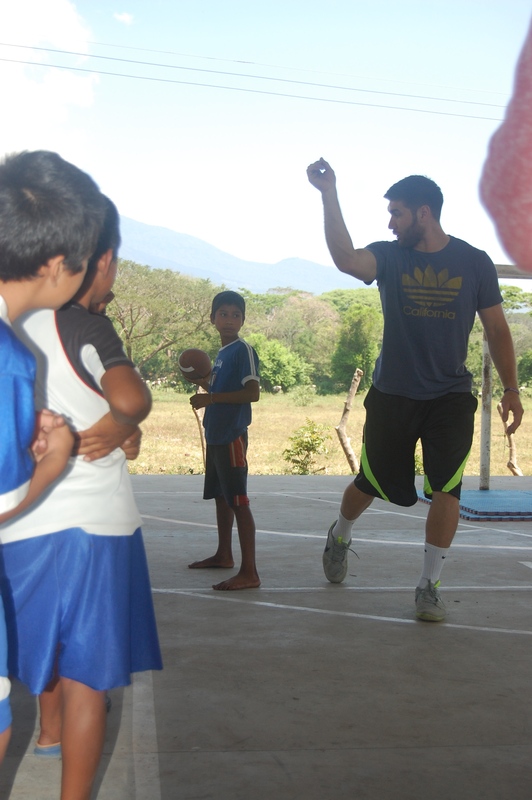 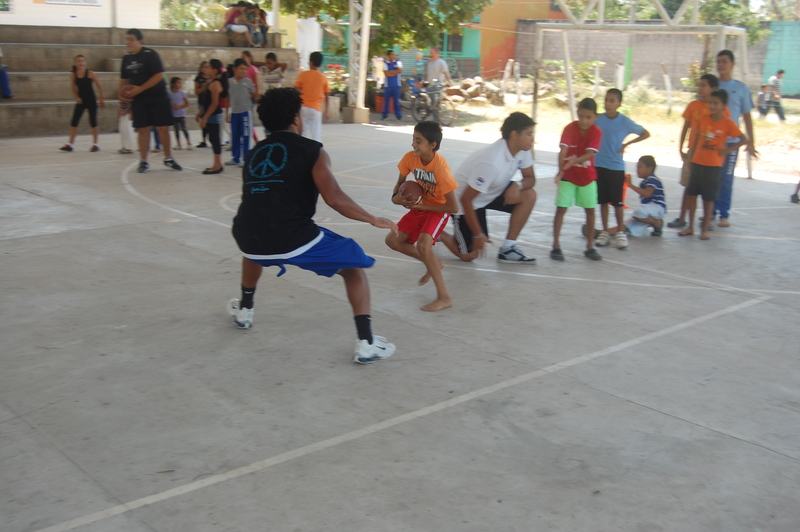 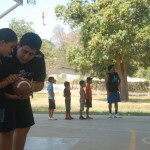 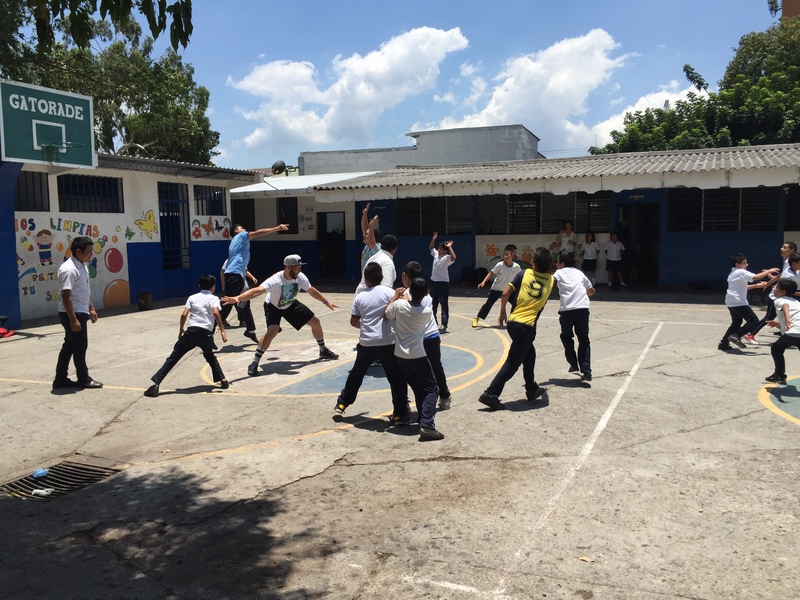 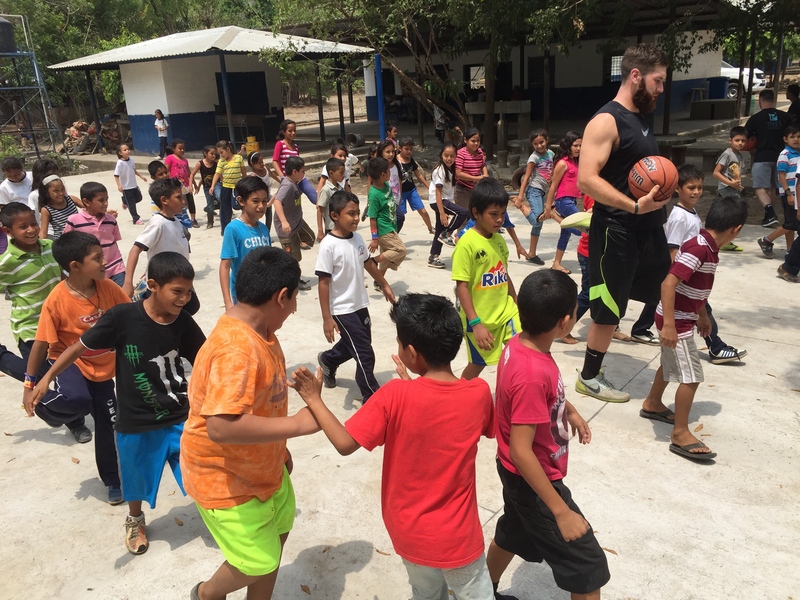 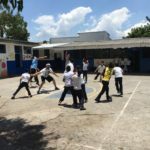 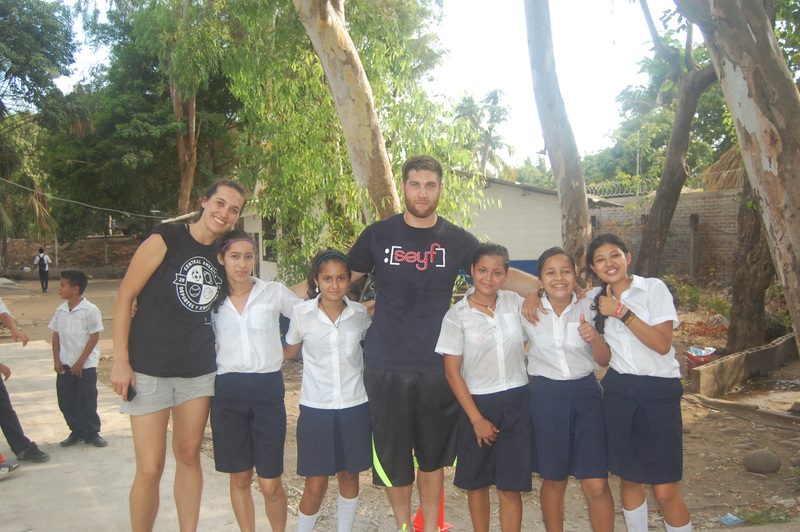 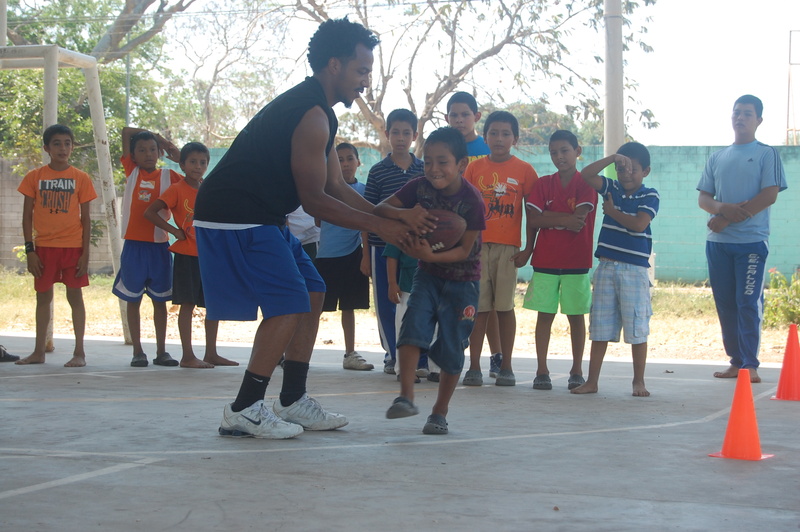 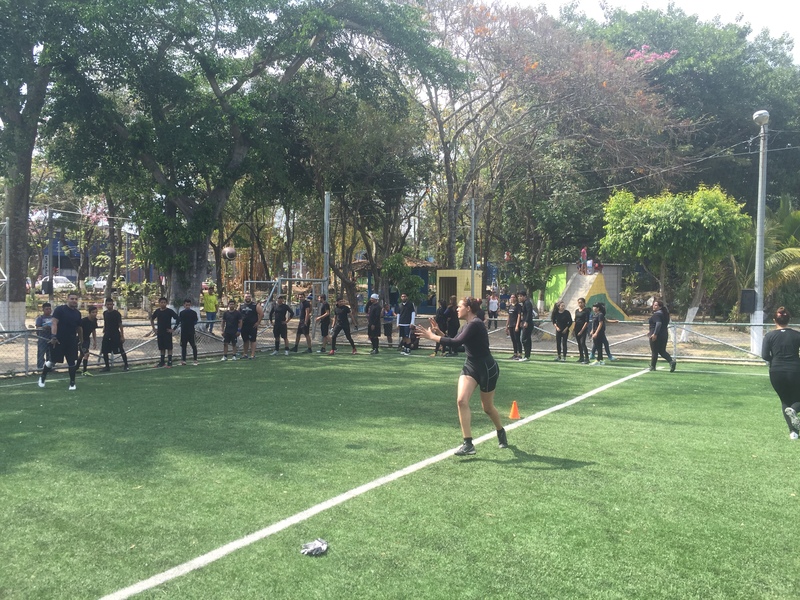 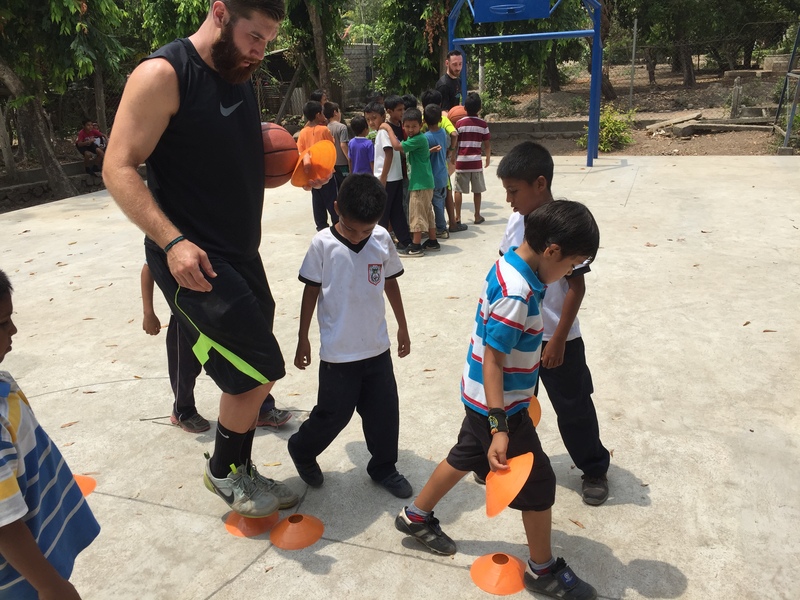 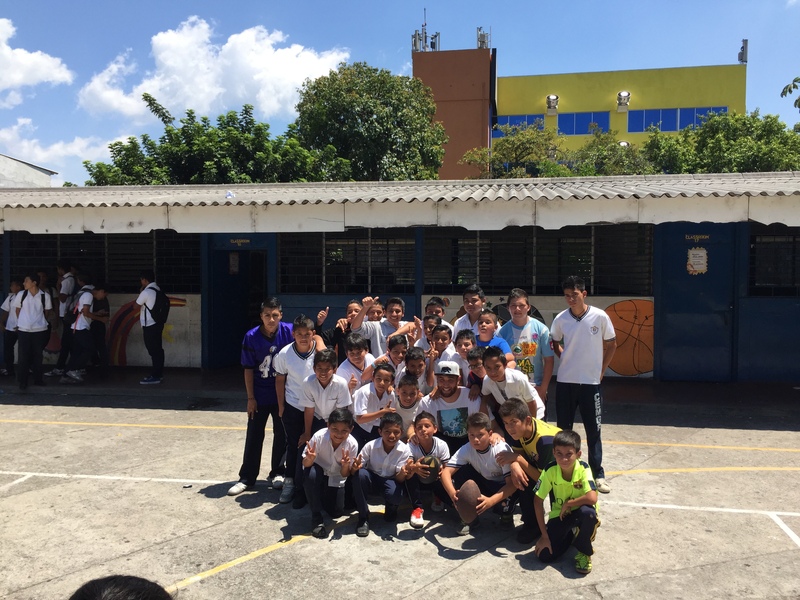 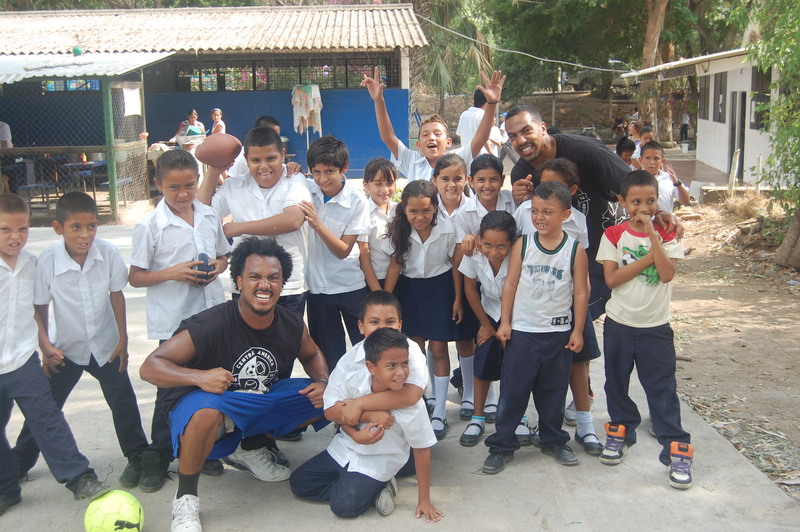 CASEProject spent two days working with the students at Escuela Canton El Progreso in a series of drills and skills camps in both American football and basketball. 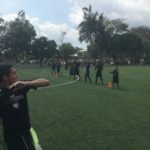 Working with our partner SAAIF we spent a day focused on the basics of American football, the students rotated through drills for quarterbacks, wide receivers, running backs, and defensive backs. 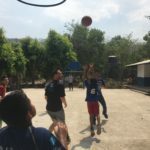 On day two CASEProject focused on basketball and ran drills for dribbling, shooting, and passing ending the camps with some full court basketball. 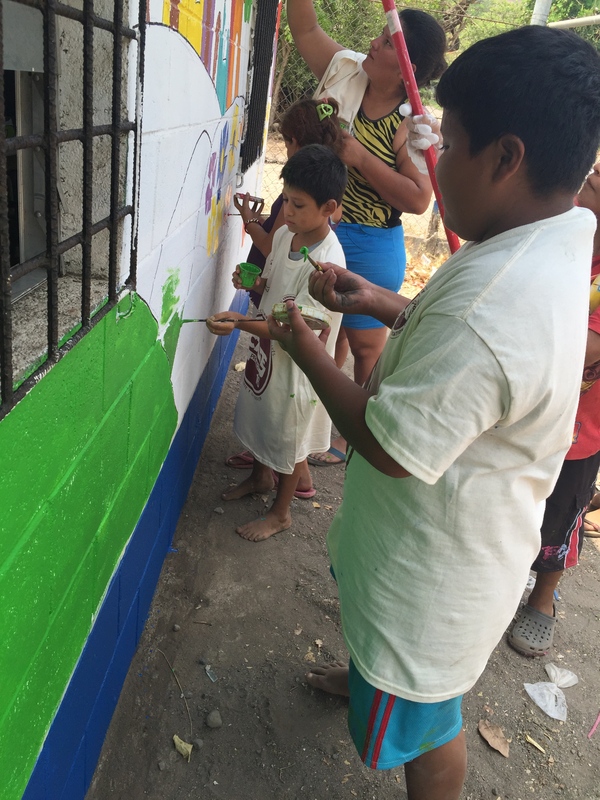 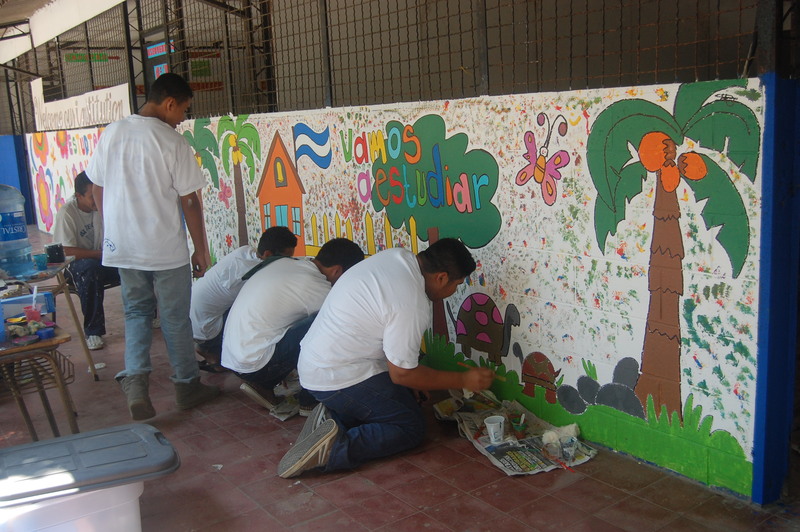 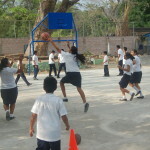 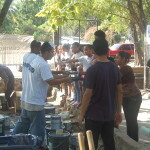 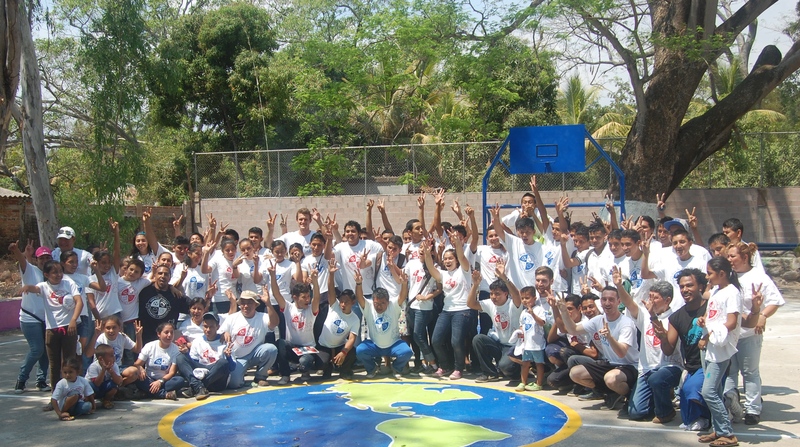 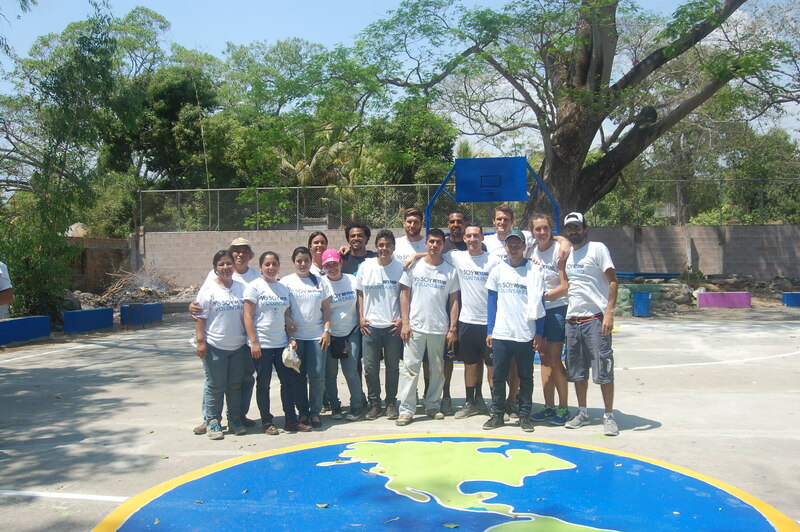 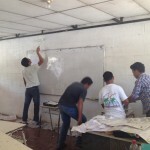 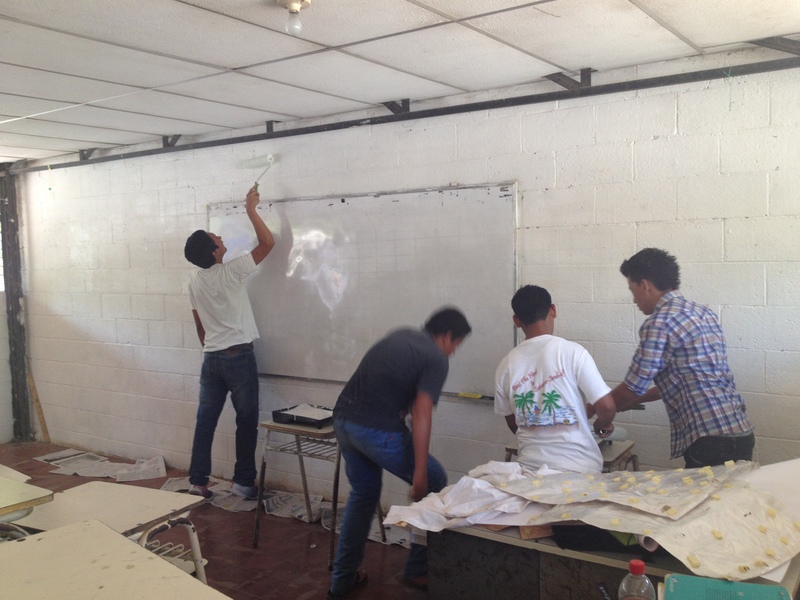 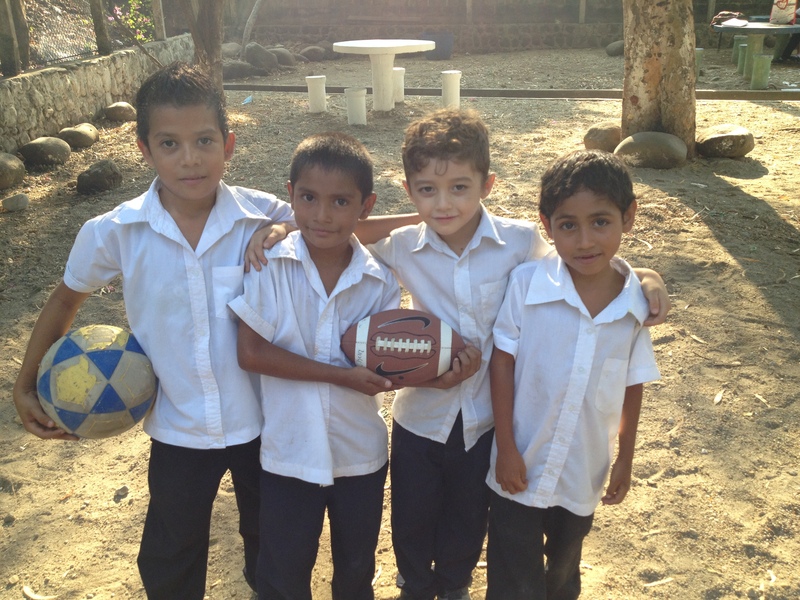 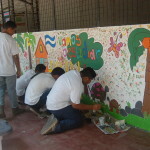 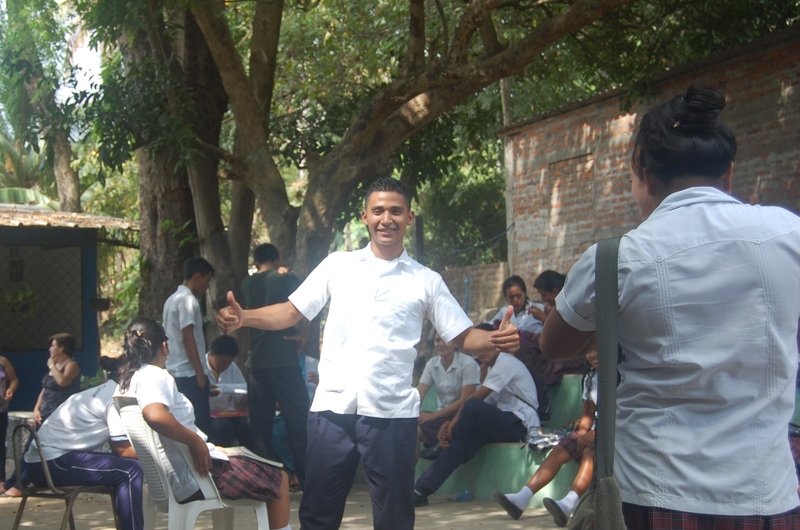 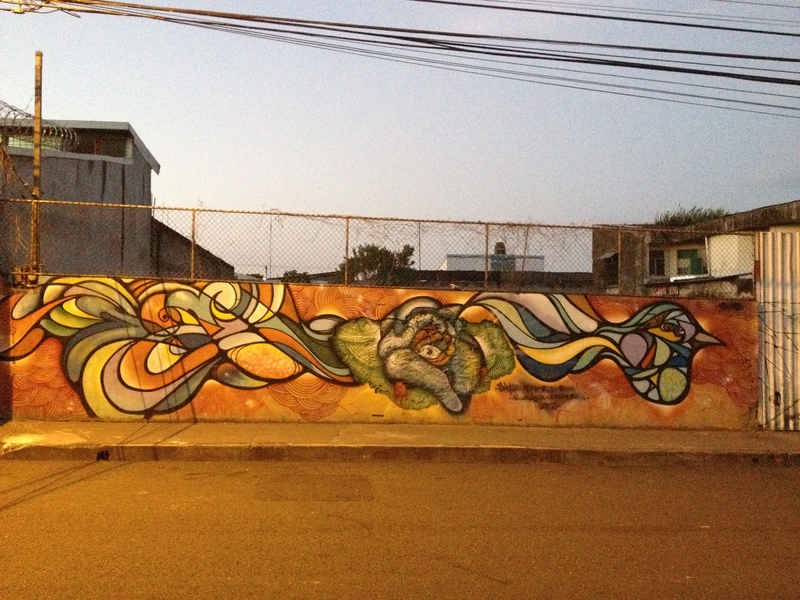 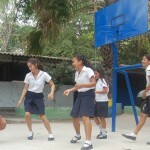 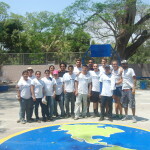 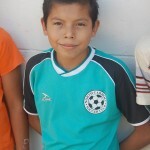 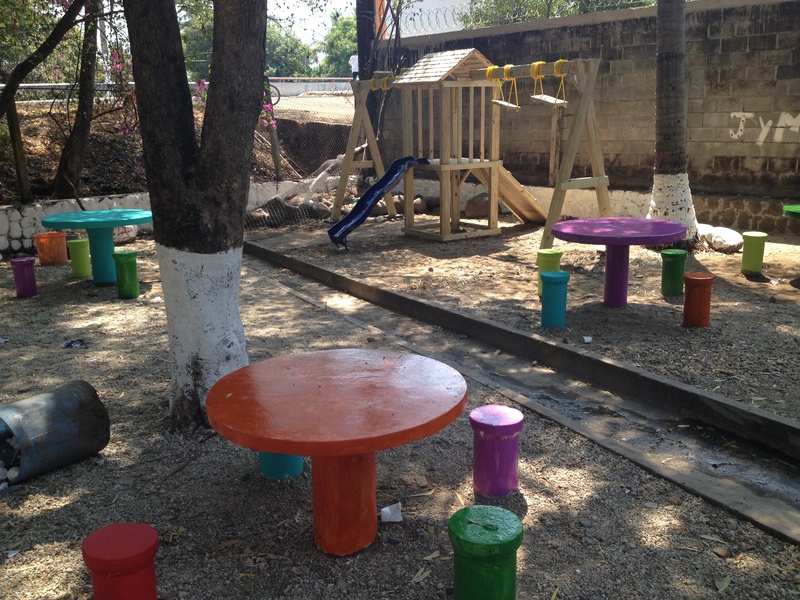 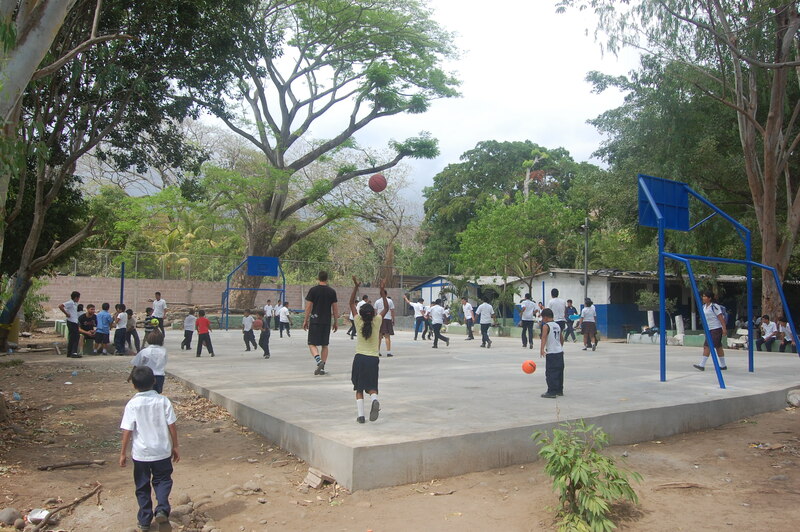 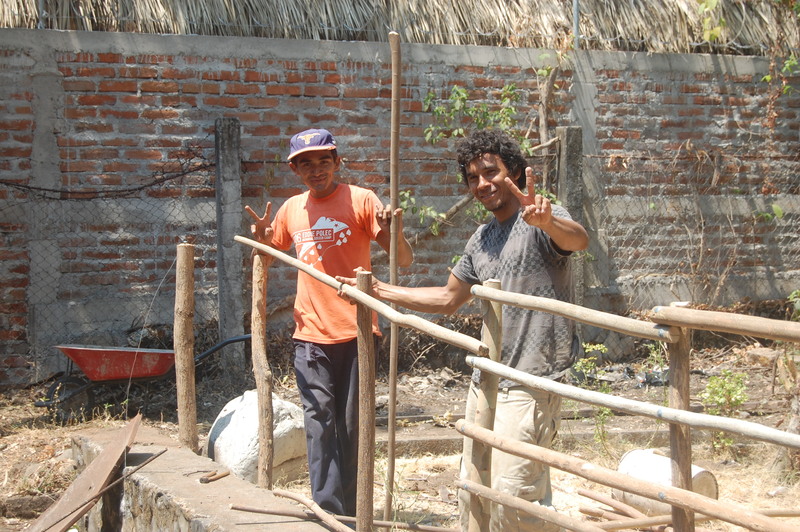 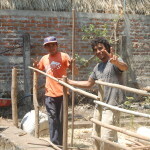 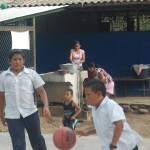 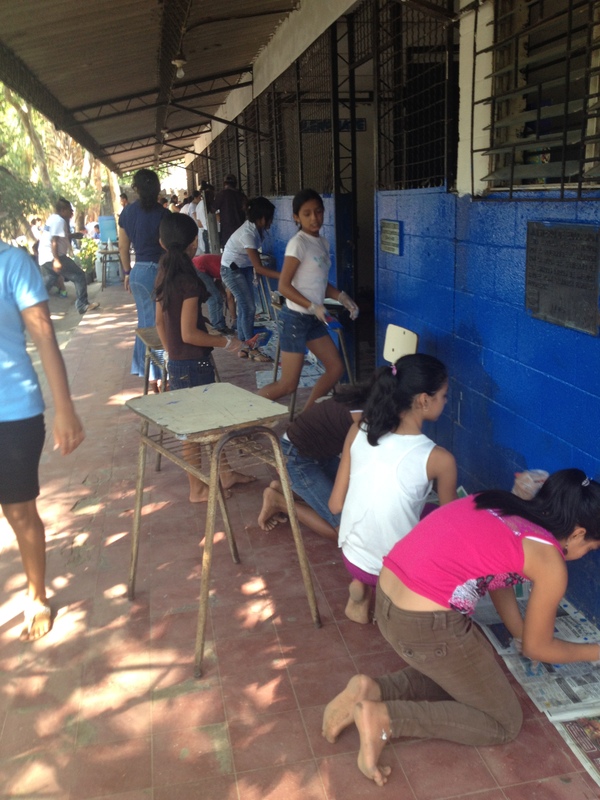 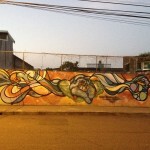 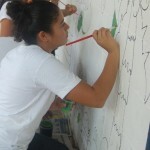 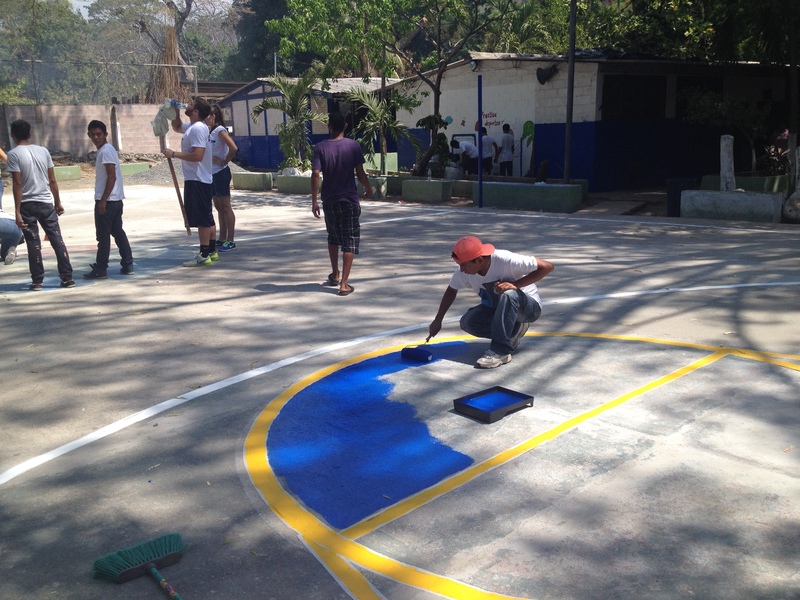 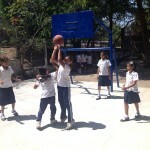 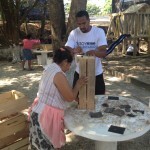 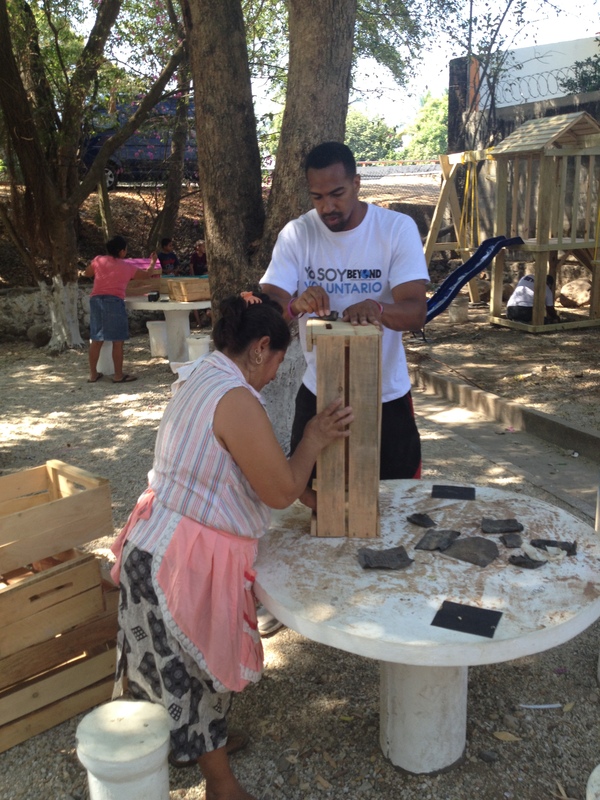 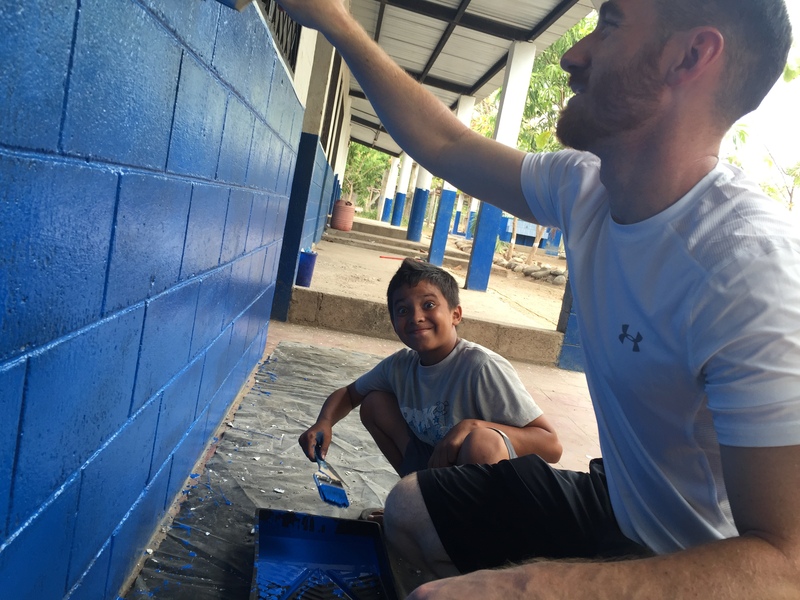 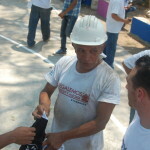 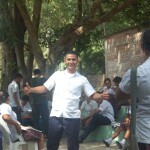 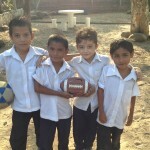 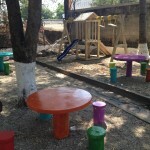 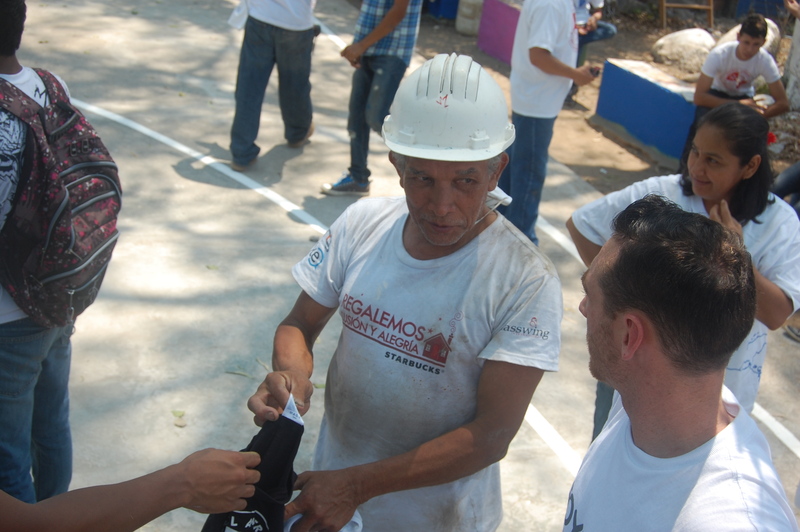 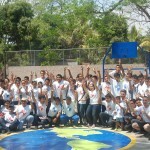 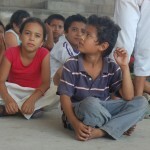 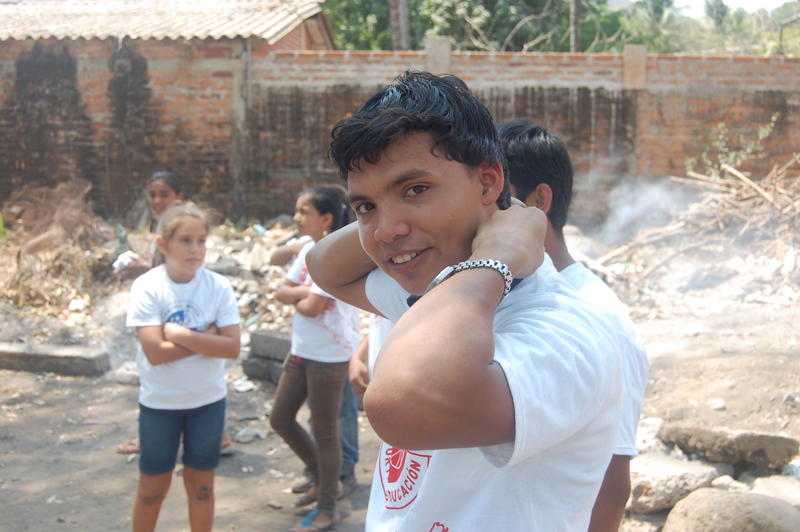 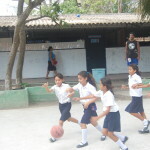 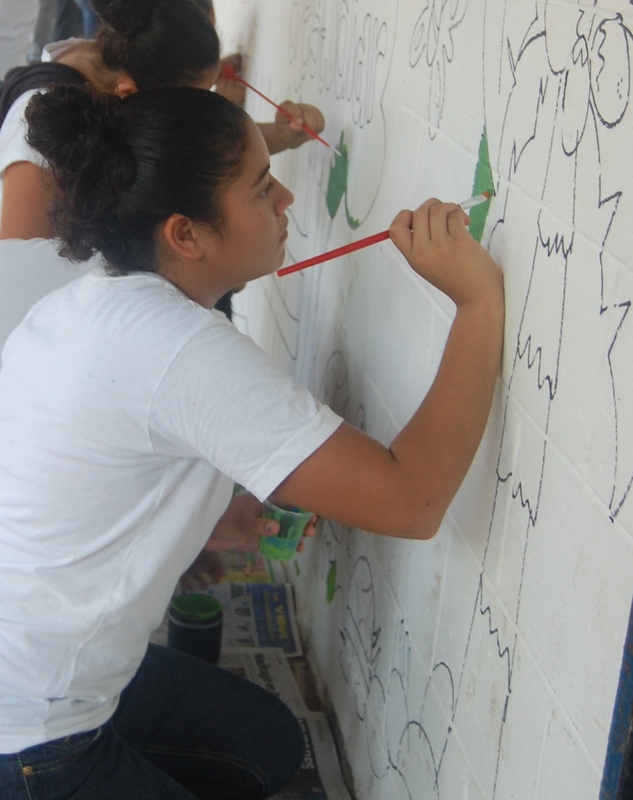 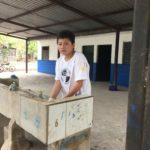 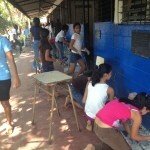 CASEProject completed a school rebuild at Escuela Canton El Progreso. 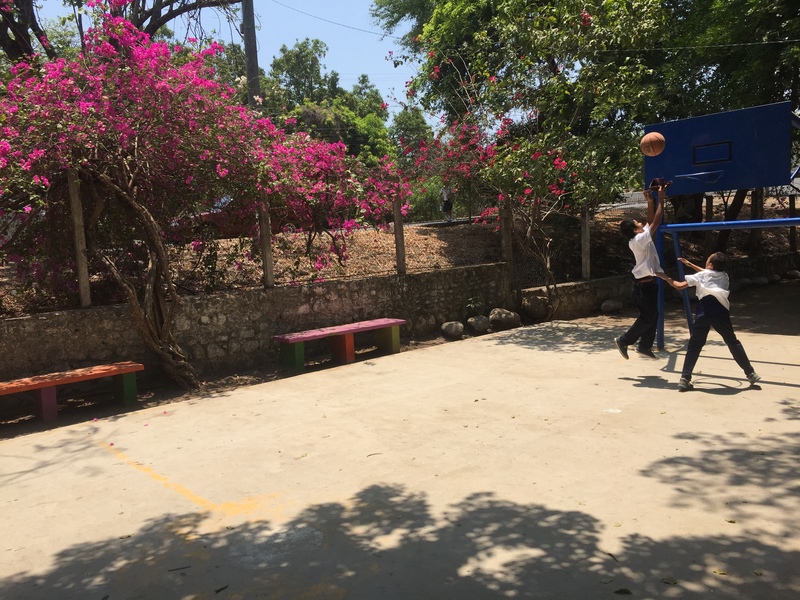 The Rebuild included a new multipurpose sports field, a well supplied reading room classroom, updated restroom facilities, as well as campus beautification and clean up. 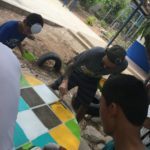 This project was made possible as part of the My School, My Place project through CASEProject’s partner Glasswing International. 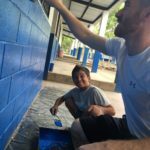 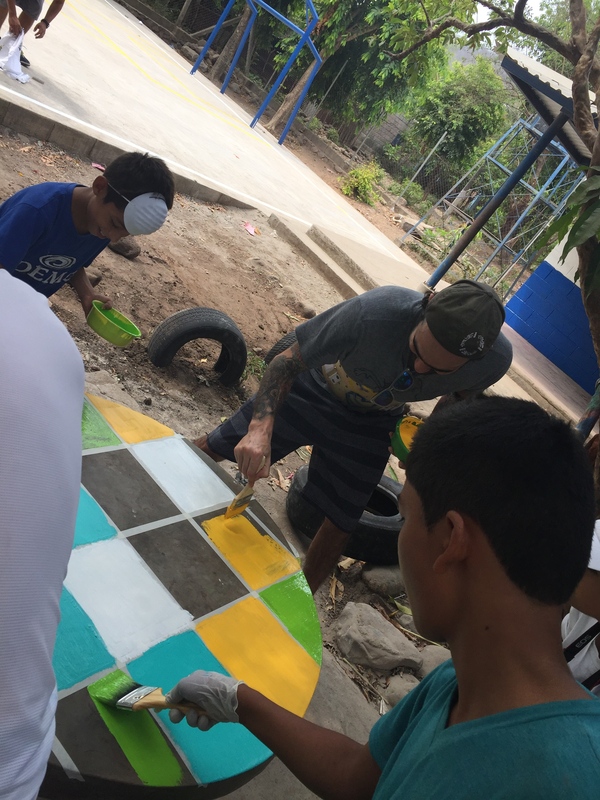 CASEProject 16 was completed with a day of campus beautification with the community of Tamanique, working together to create a pleasant learning atmosphere and positive space for the students and community. 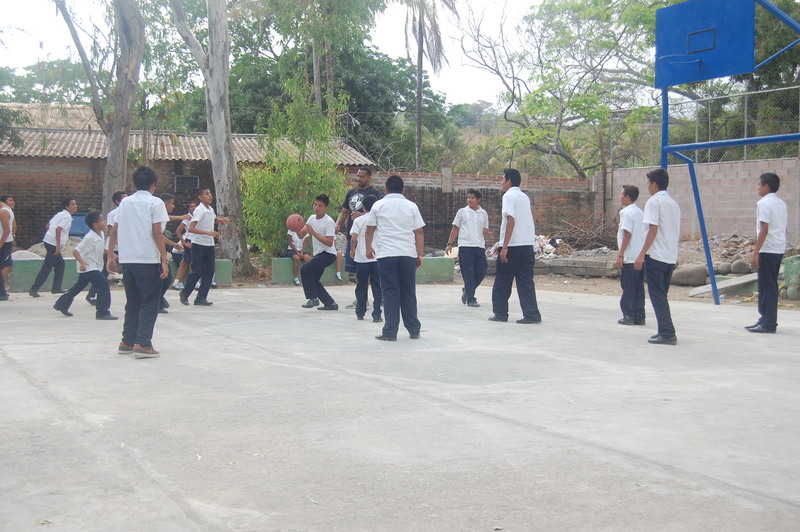 CASEProject paid a visit to the school that was the focus for CASEProject 2014. 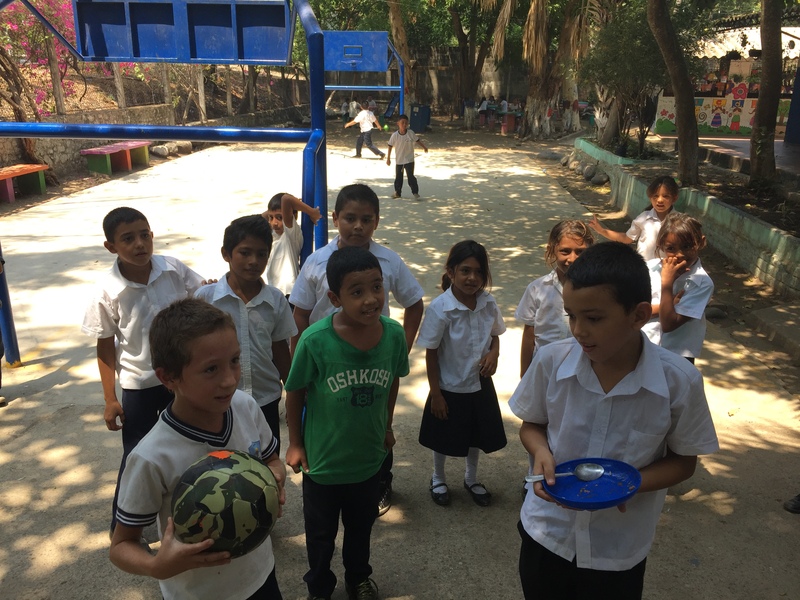 Members of CASE joined a mini soccer tournament, played around the world in basketball and listened to some beautiful music by a young woman who writes, sings, and plays her own songs on guitar. 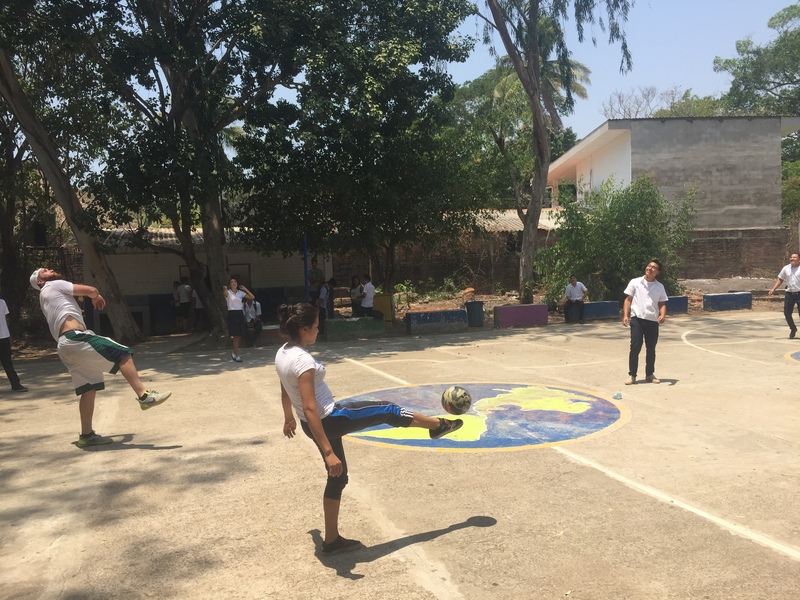 It was inspiring to see the continuing impact of the school rebuild from two years ago and the ongoing work of our partner Glasswing International with the students and community of El Sunzal. 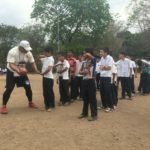 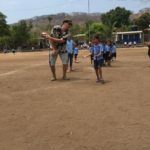 CASEProject ran an afterschool program on American football with our partner organization Glasswing International at Centro Escolar Marcelino Garcia Flamenco. 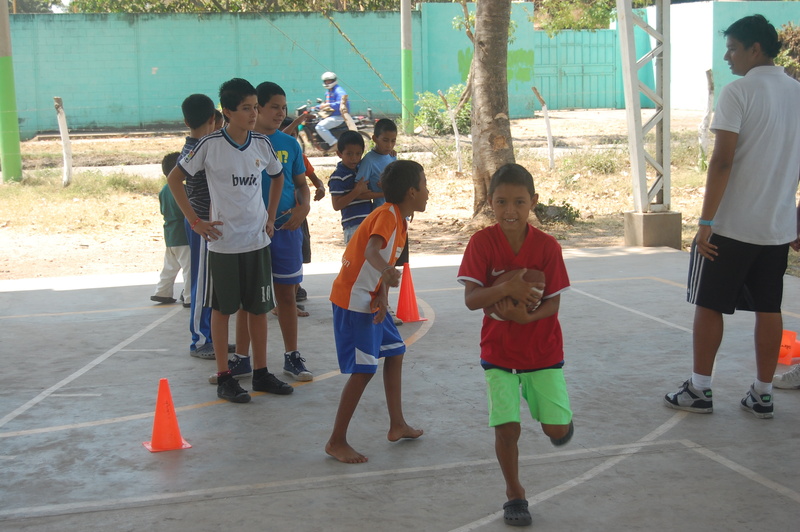 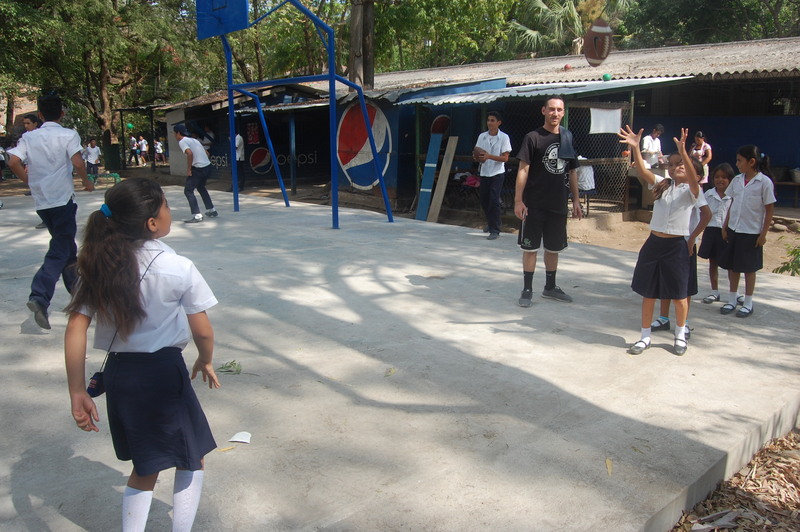 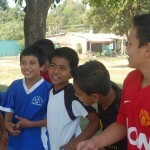 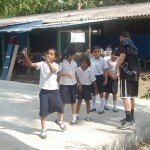 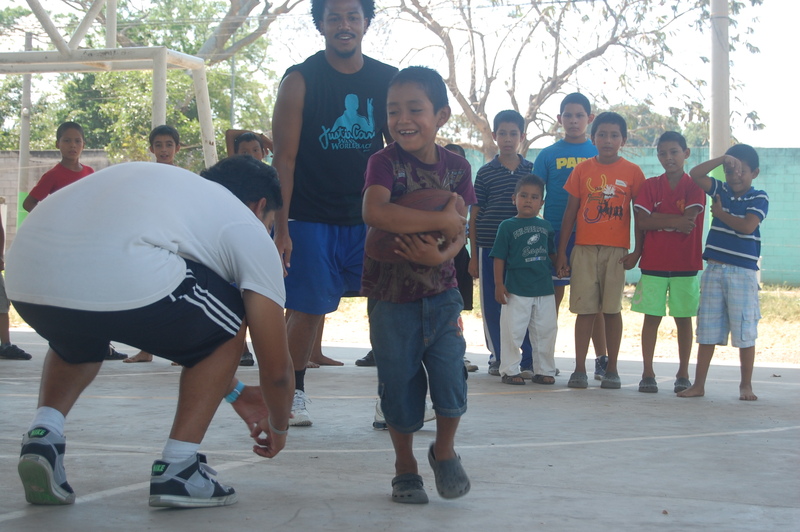 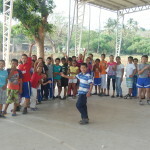 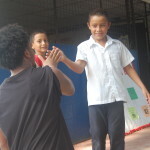 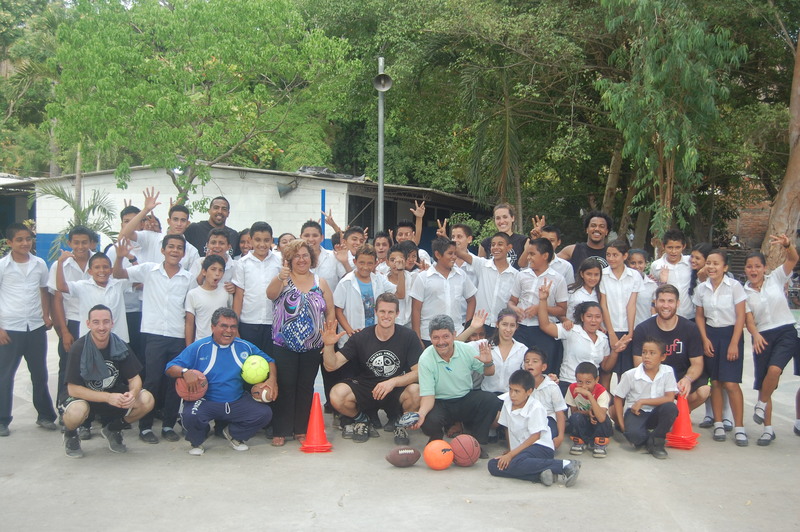 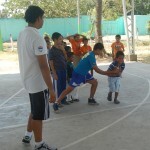 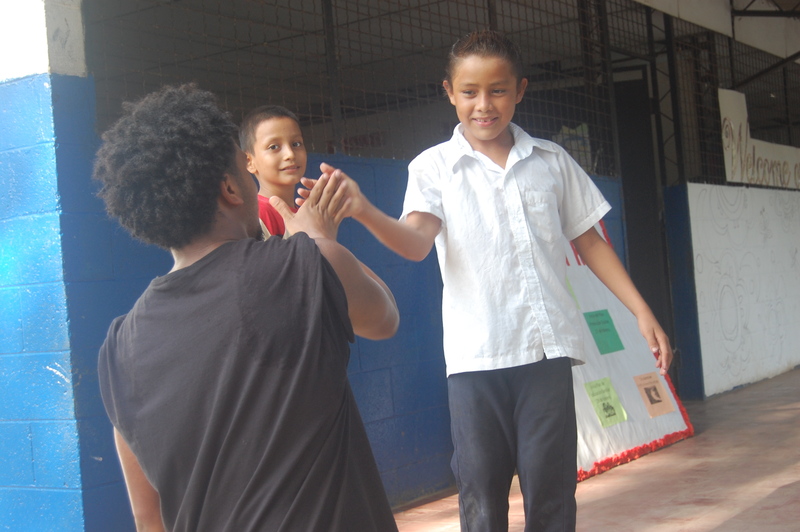 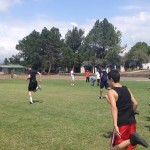 The participants learned some fundamentals and then got into an exciting game of touch football. 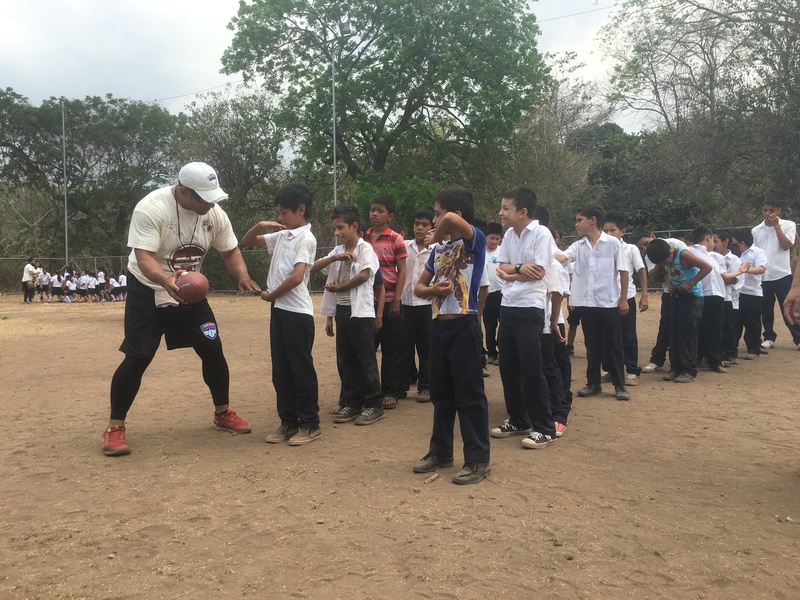 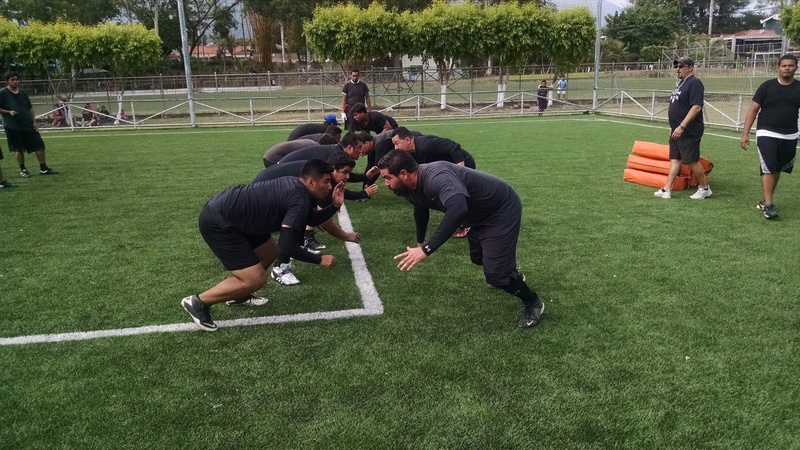 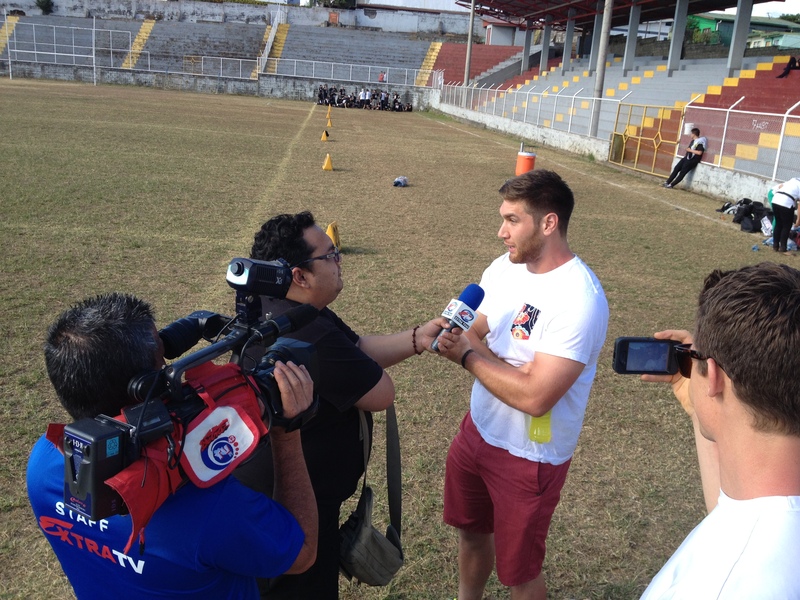 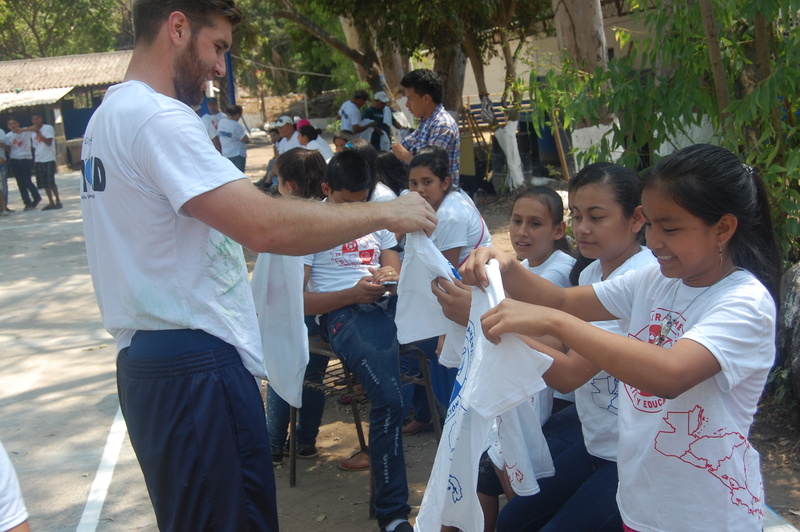 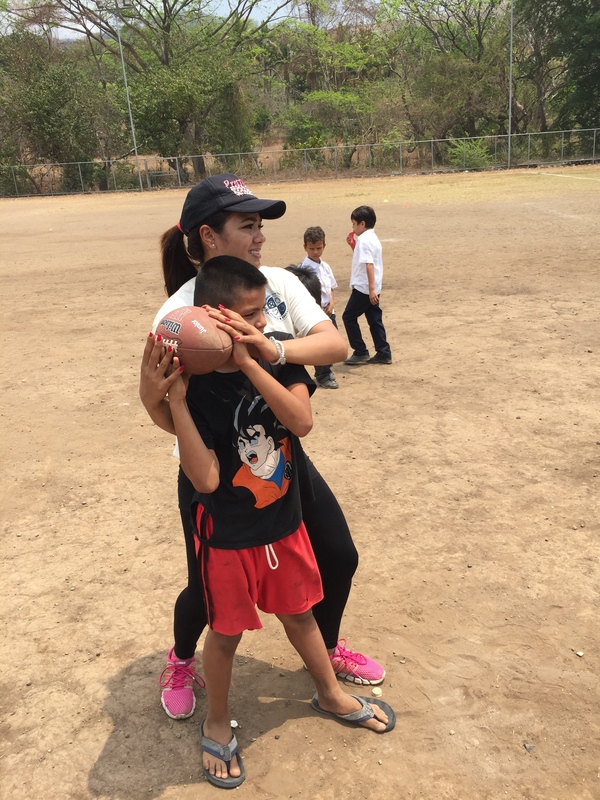 CASEProject participated in our partner organization Salvadorian Associaton of American Intermural Football’s (SAAIF) Fourth Annual Training Camp. 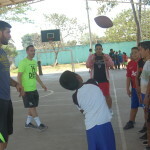 CASEProject ran a special quarterback station to work with interested participants on the fundamentals of the position. 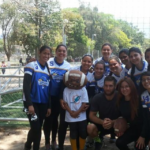 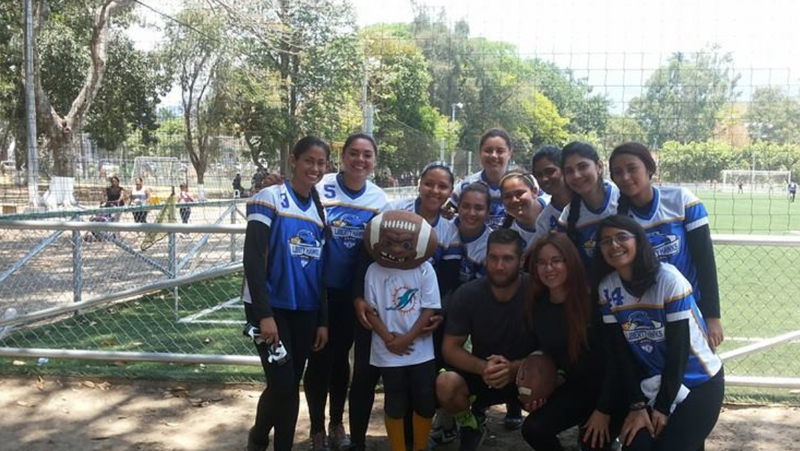 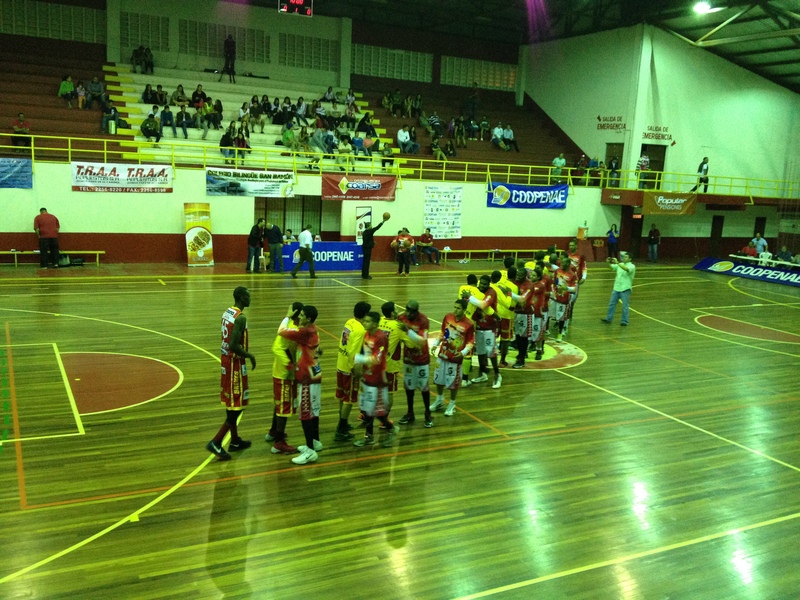 CASEProject also got the opportunity to attend the first game of the season for El Salvador’s Women’s Flag Football National team. 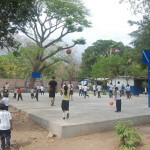 the University of Costa Rica Campus in San Ramon. 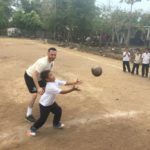 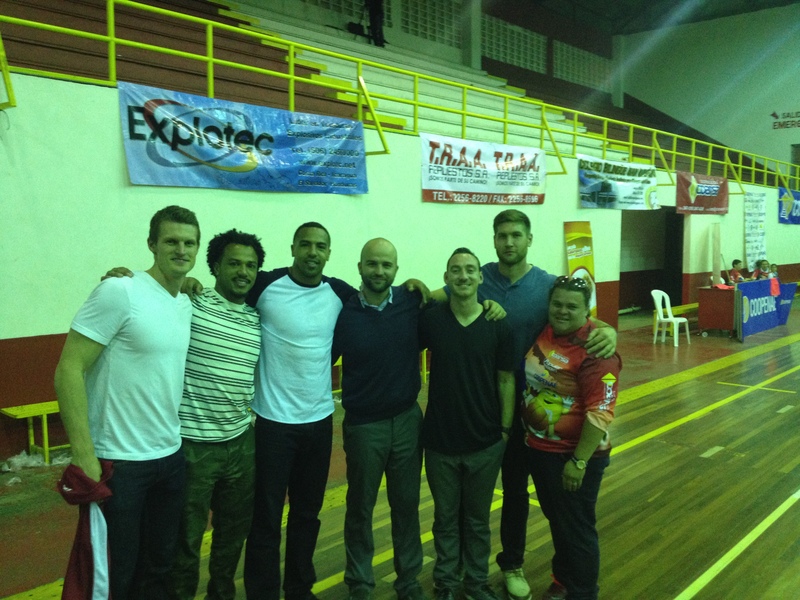 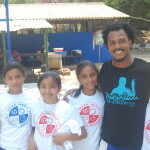 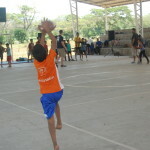 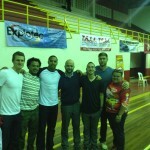 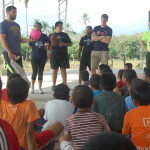 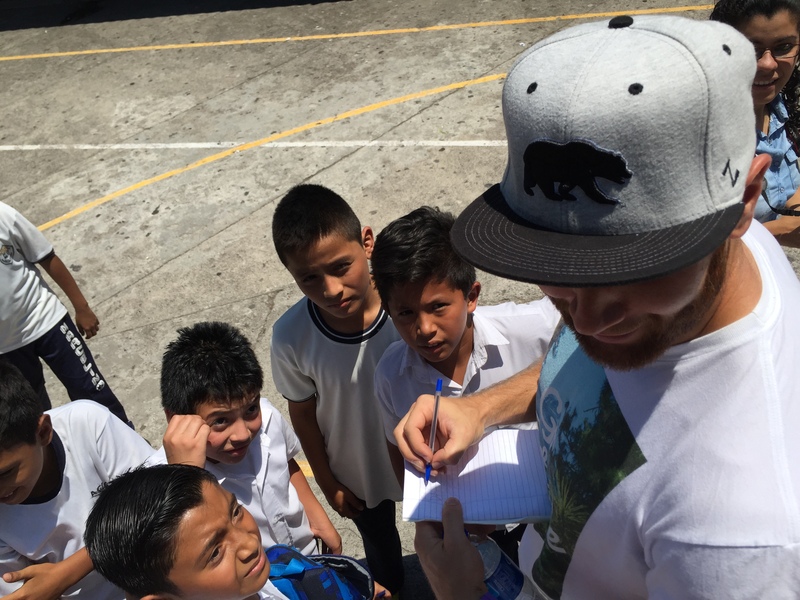 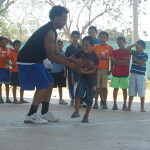 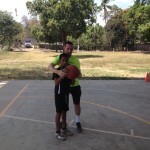 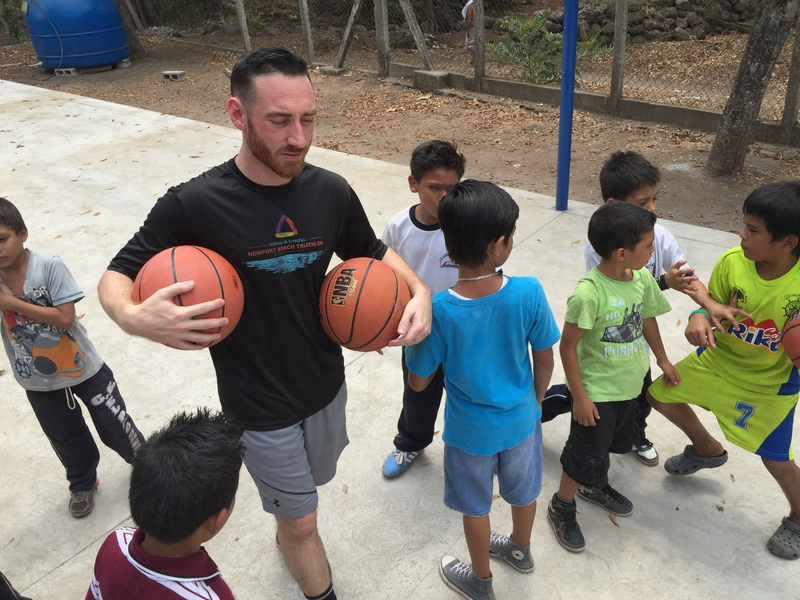 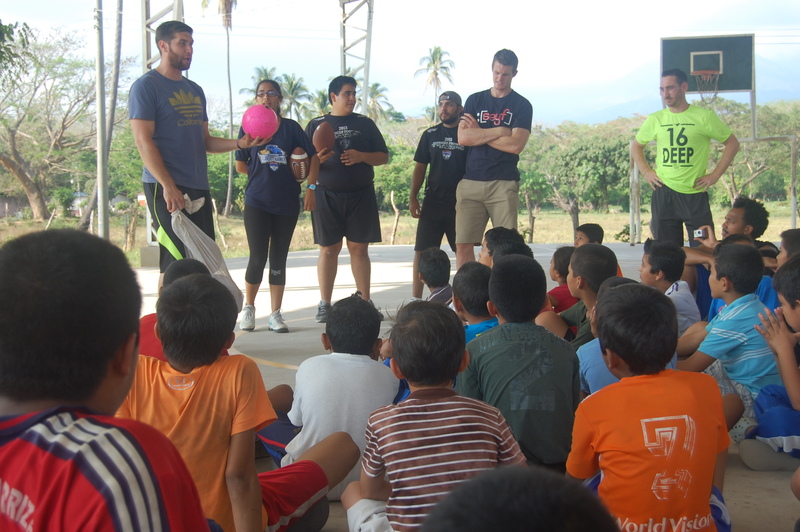 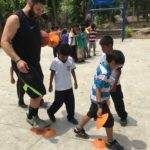 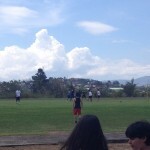 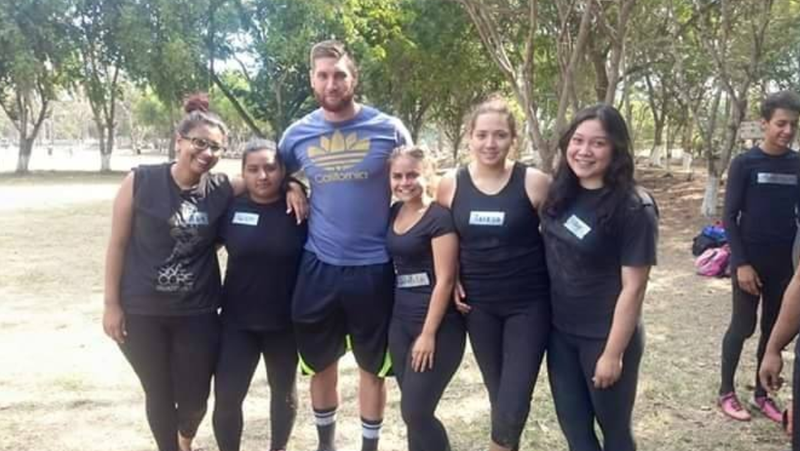 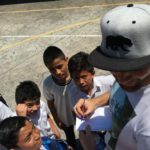 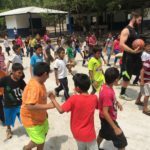 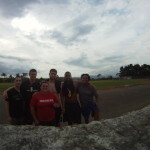 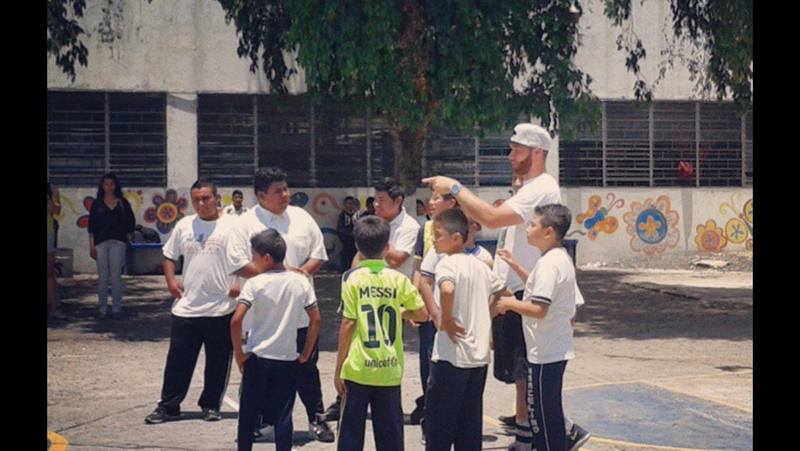 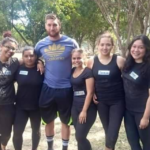 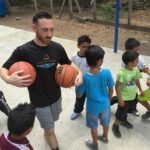 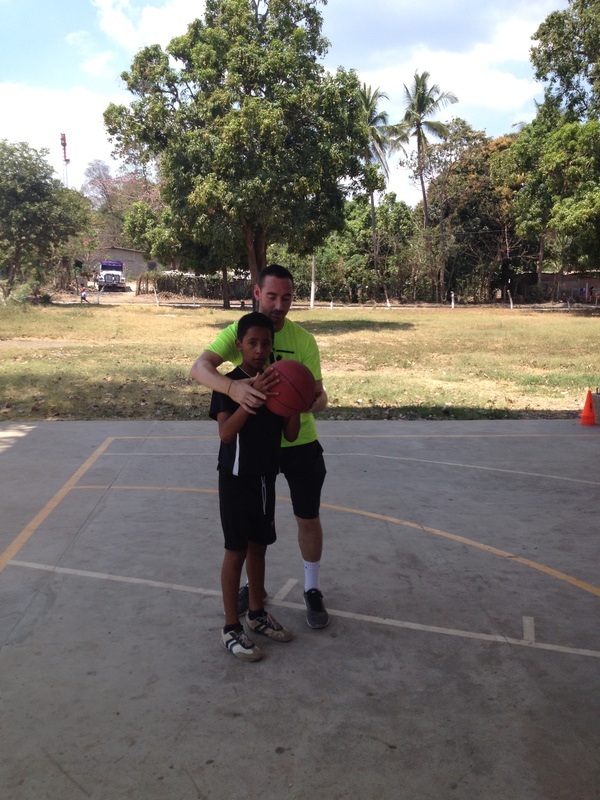 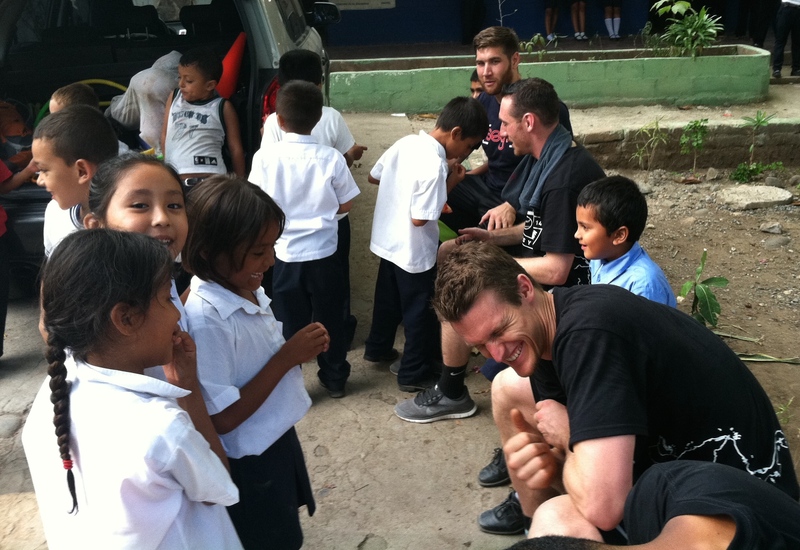 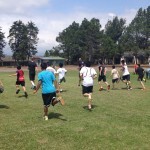 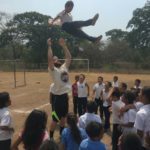 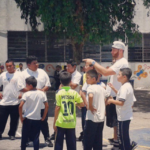 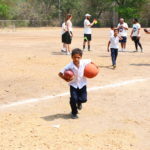 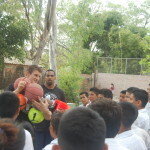 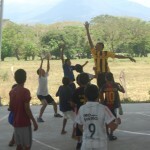 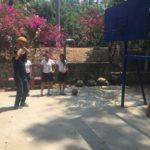 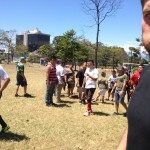 Beyond Sports Co-founder and Costa Rican National Basketball Coach, Josh Erickson generously lent his time and coaching experience and joined CASEProject staff for the three hour camp held on the University’s soccer field with 35 to 40 middle school to HS aged kids from the San Ramon area. 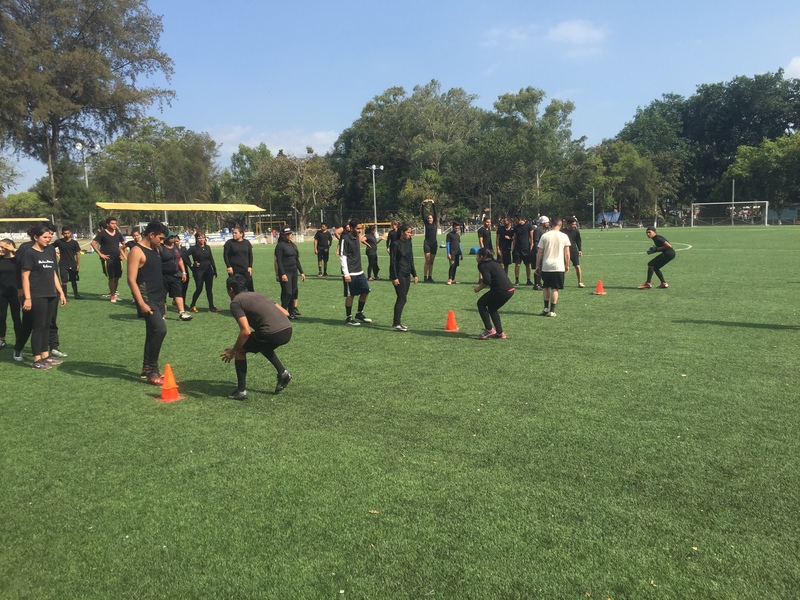 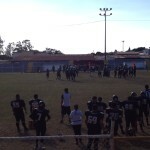 Knowledge of American football was scarce and drills concentrated on fundamentals and the basics of the game. 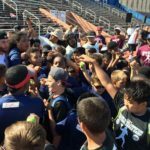 The campers brought a lot of energy to the day and the post camp “hang out” included a photo and autograph session that lasted long after the camp had concluded. 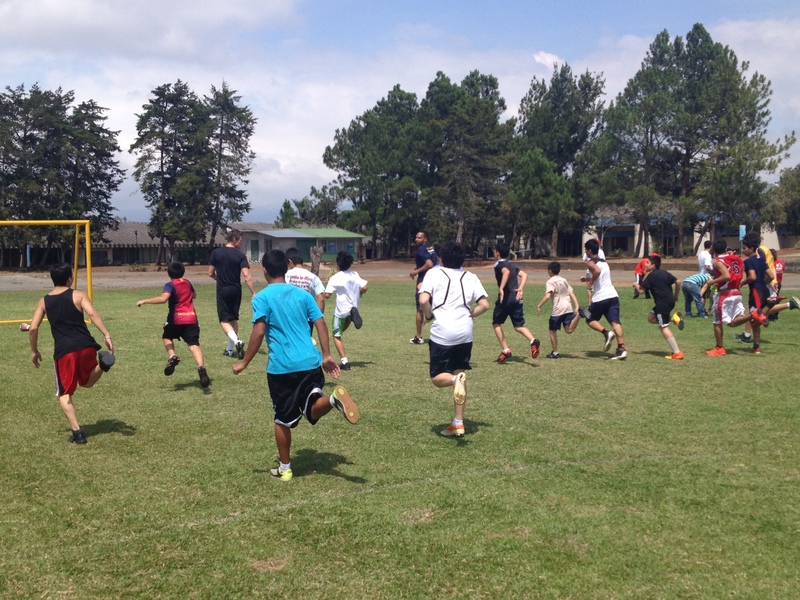 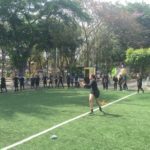 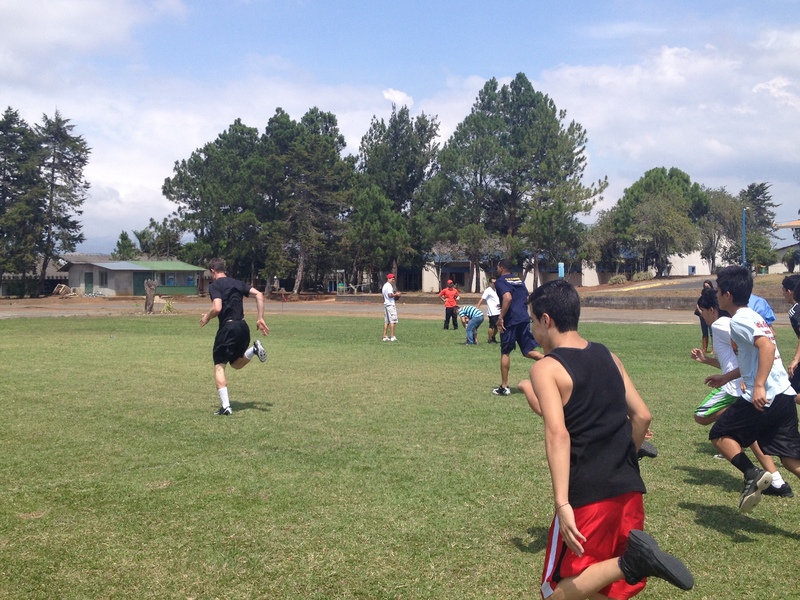 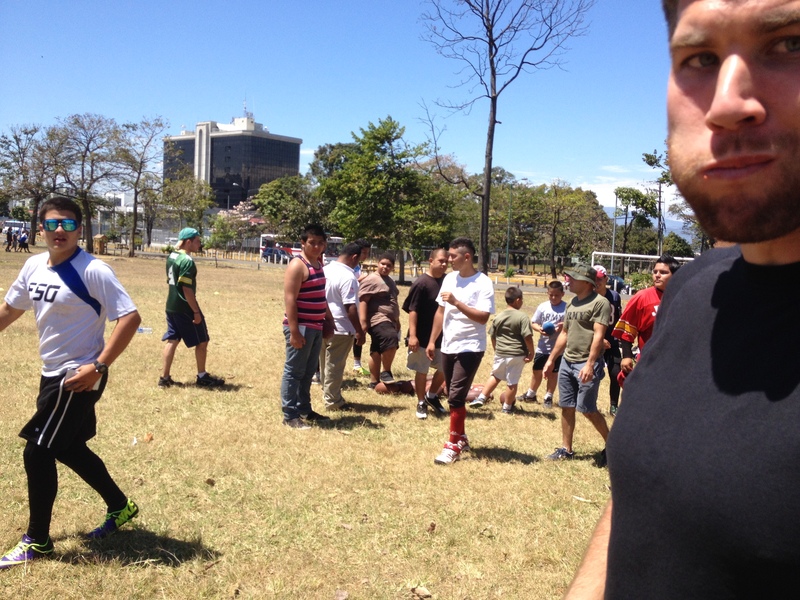 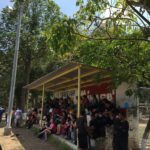 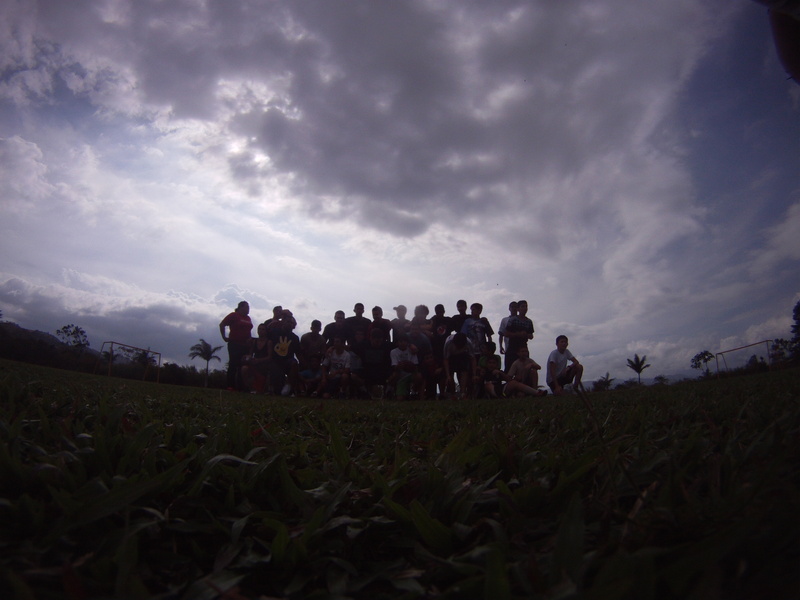 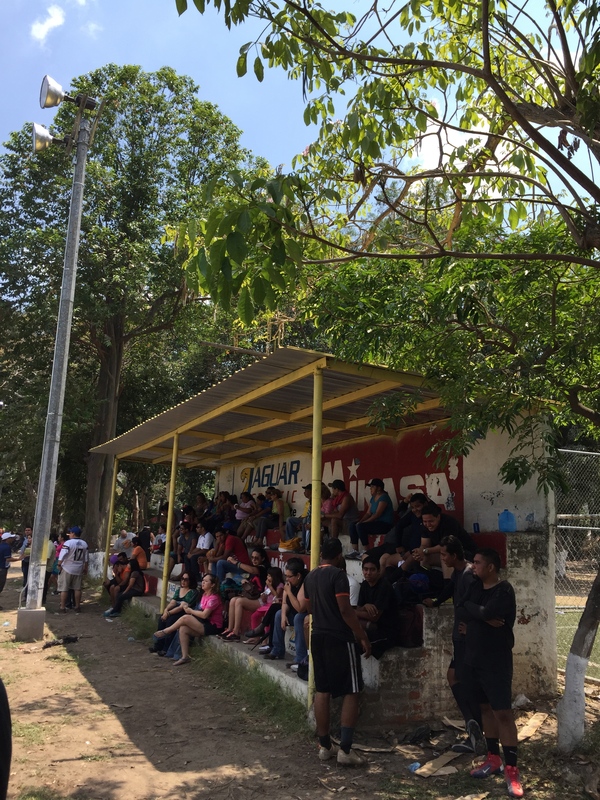 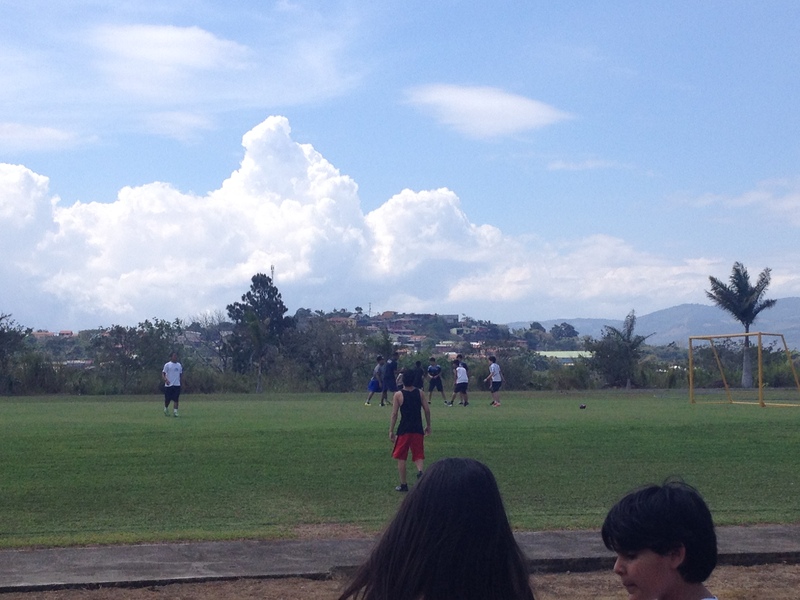 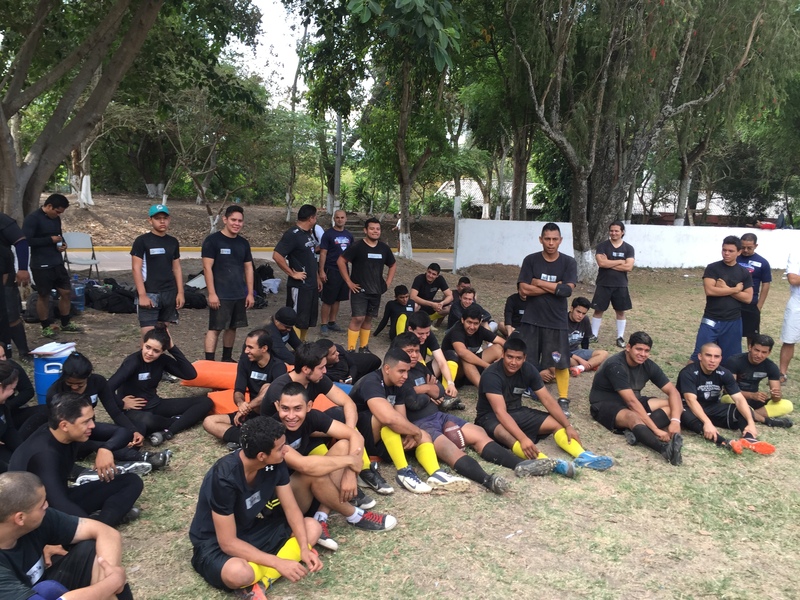 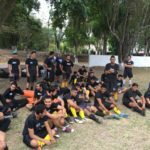 Camps took on a festive atmosphere in the bustling La Sabana central park in San Jose, Costa Rica as CASEProject met with local youth football teams for a weekend drills and skills camp. 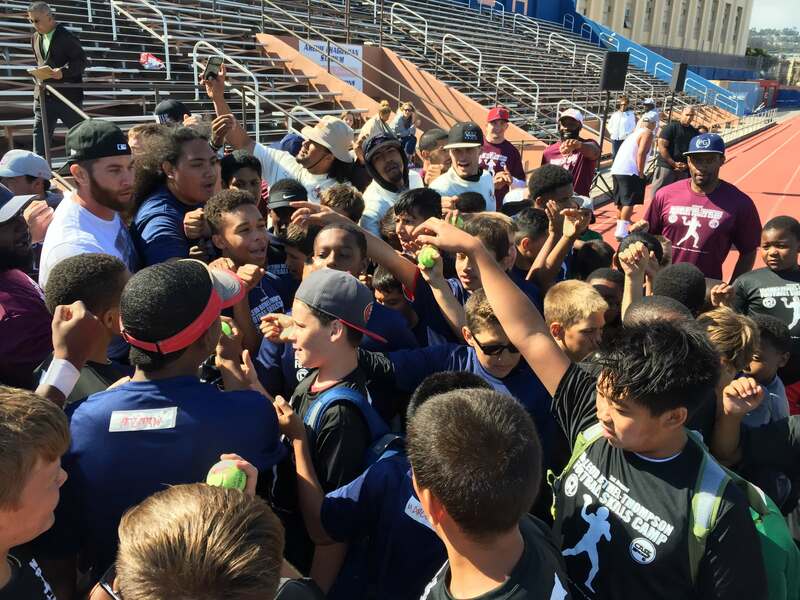 Evidence of the spreading interest in American football was evident as many youth adorned their favorite NFL gear and drills quickly expanded beyond teaching the basics of the sport and into more advanced 7 on 7 passing competitions. 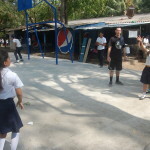 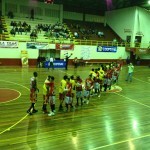 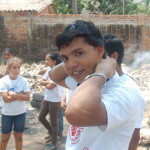 El Sunzal in El Tunco, El Salvador. 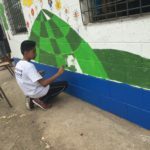 The Rebuild included two brand new multipurpose sports fields, classroom remodels, restroom facilities construction, as well as campus beautification and clean up. 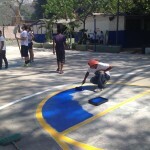 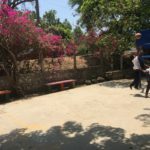 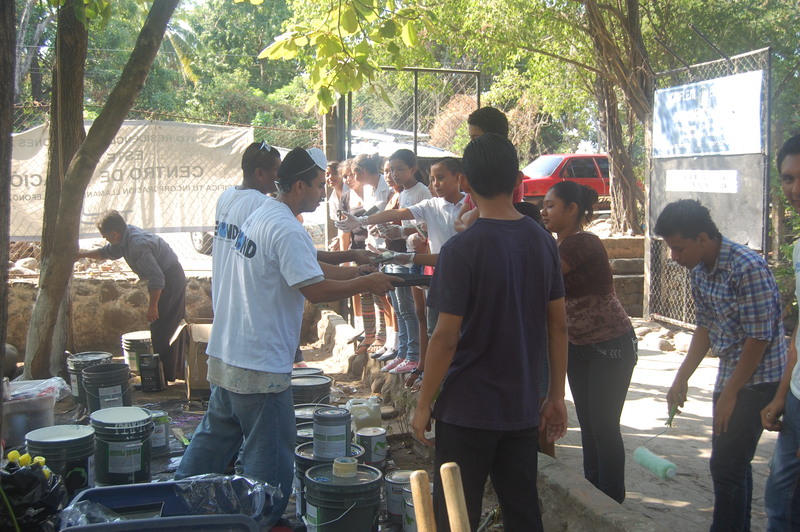 This project was made possible as part of the My School, My Place project through Glasswing International and was capped off by a community clean up event at the El Sunzal campus to culminate the rebuild process and foster community ownership of the school space. 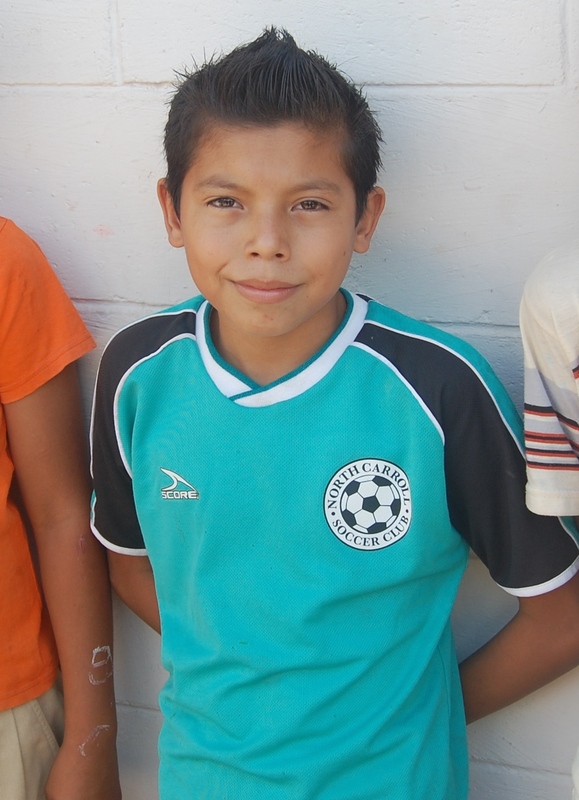 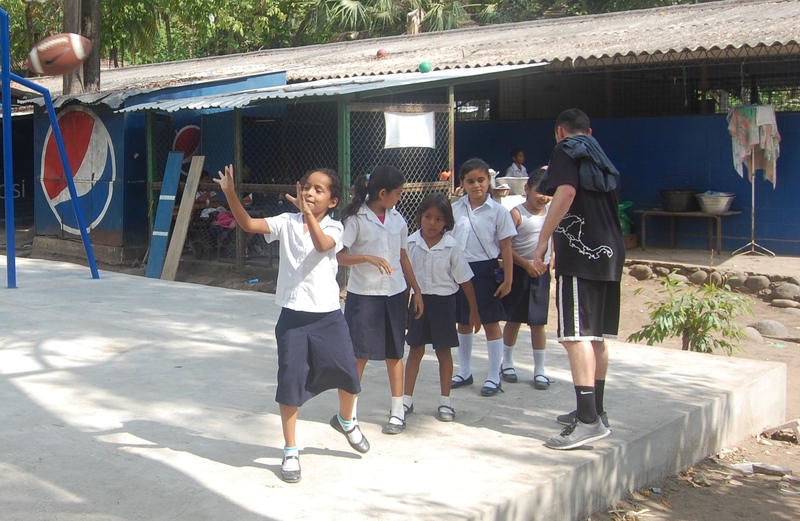 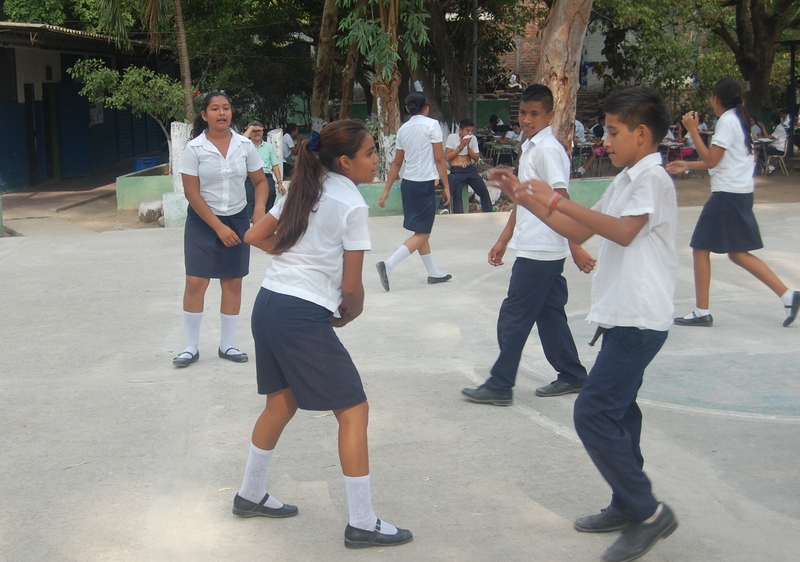 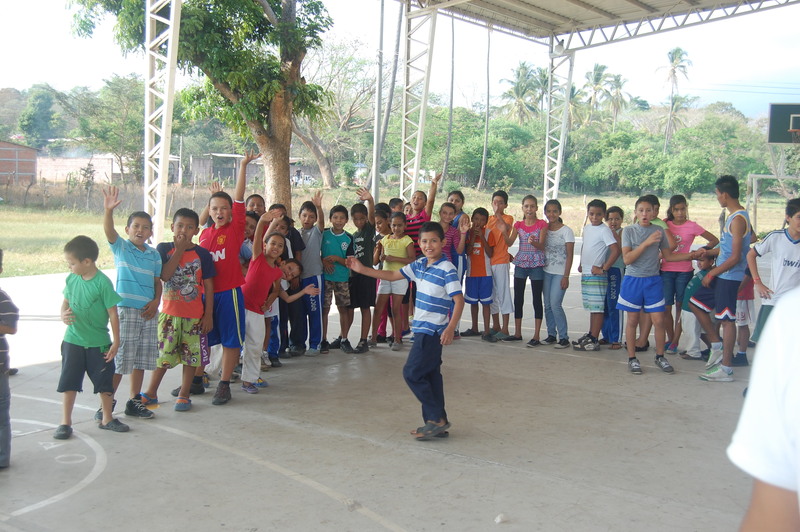 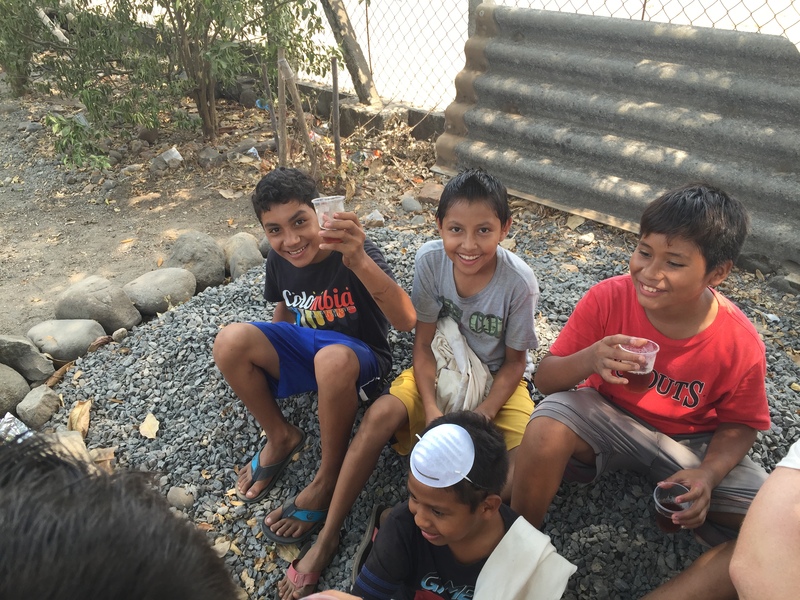 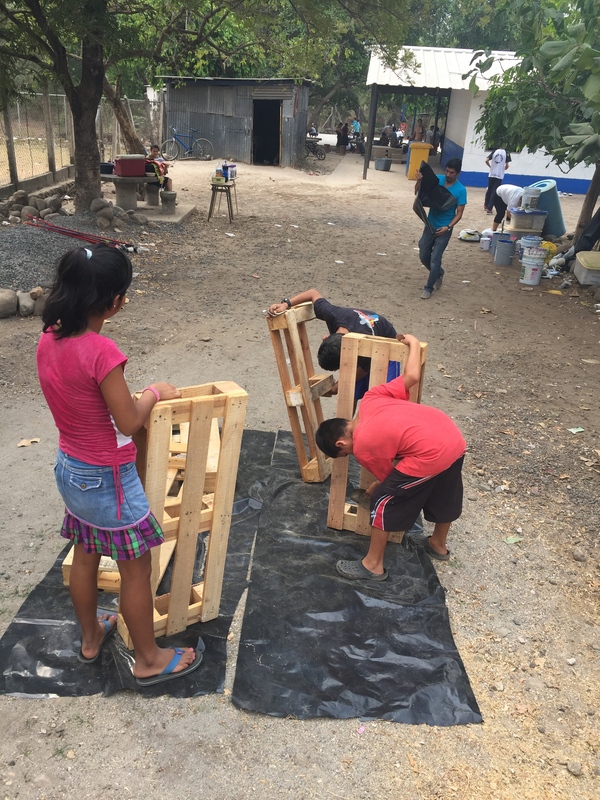 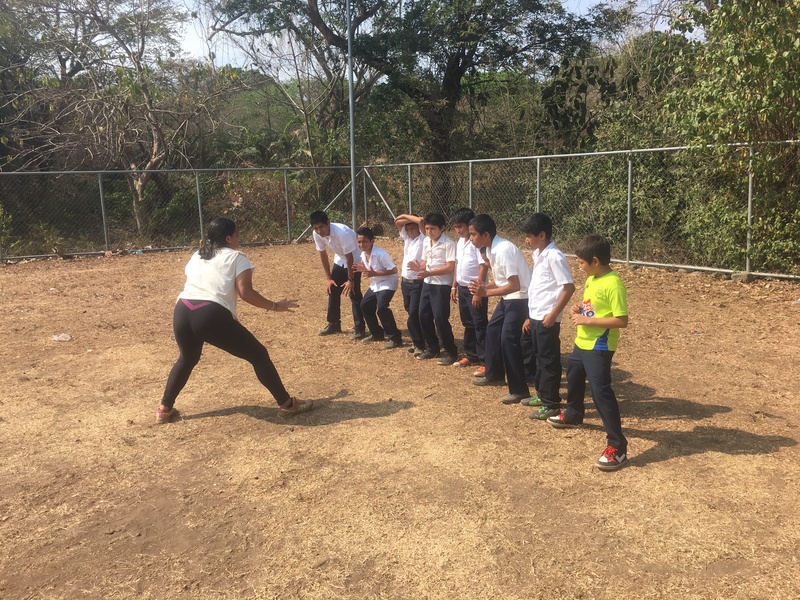 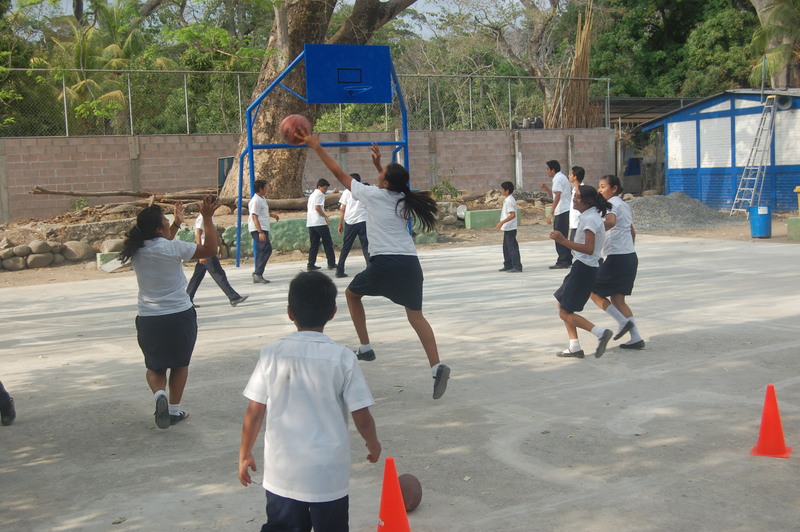 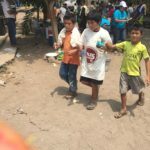 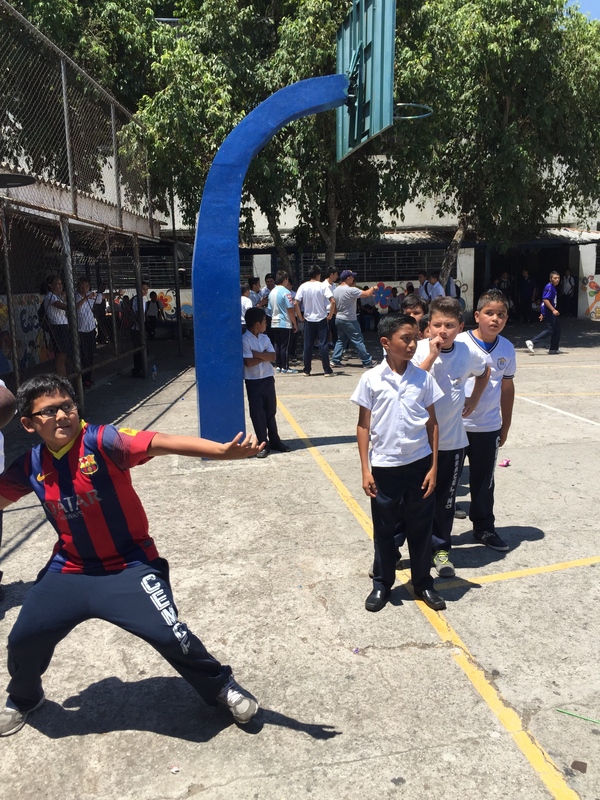 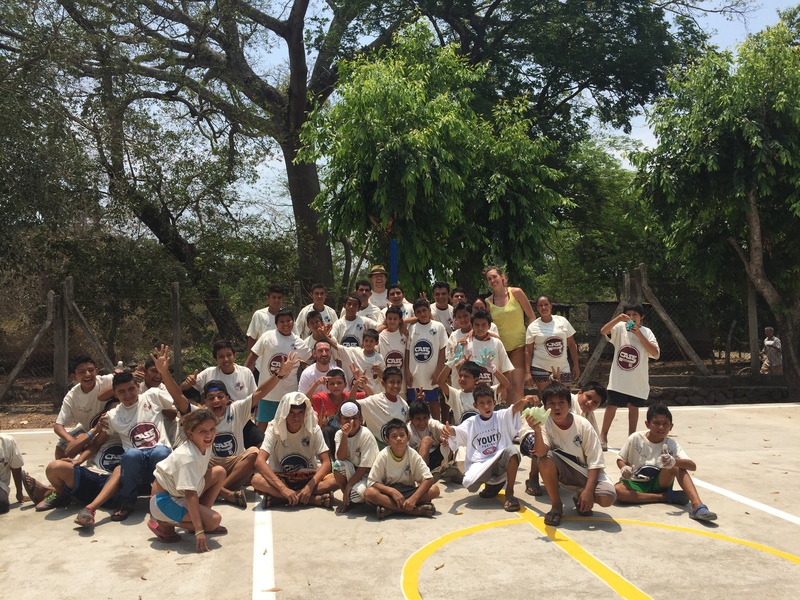 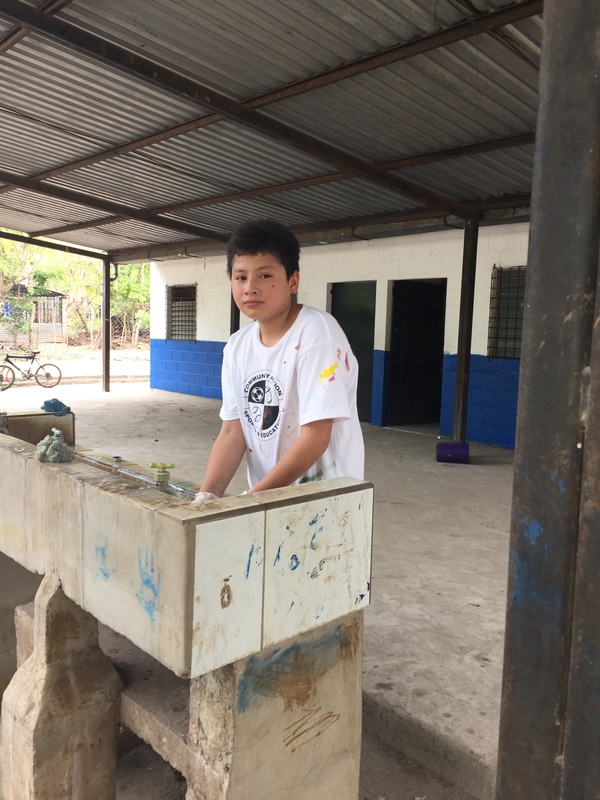 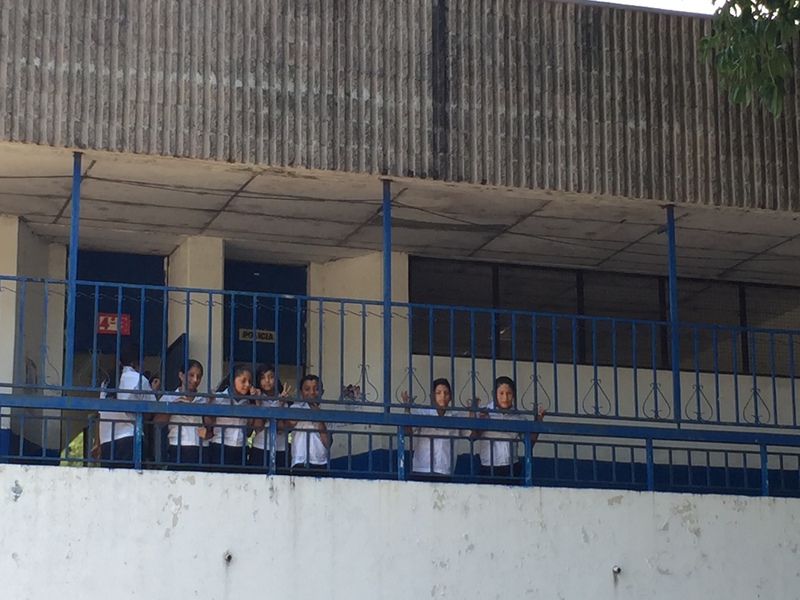 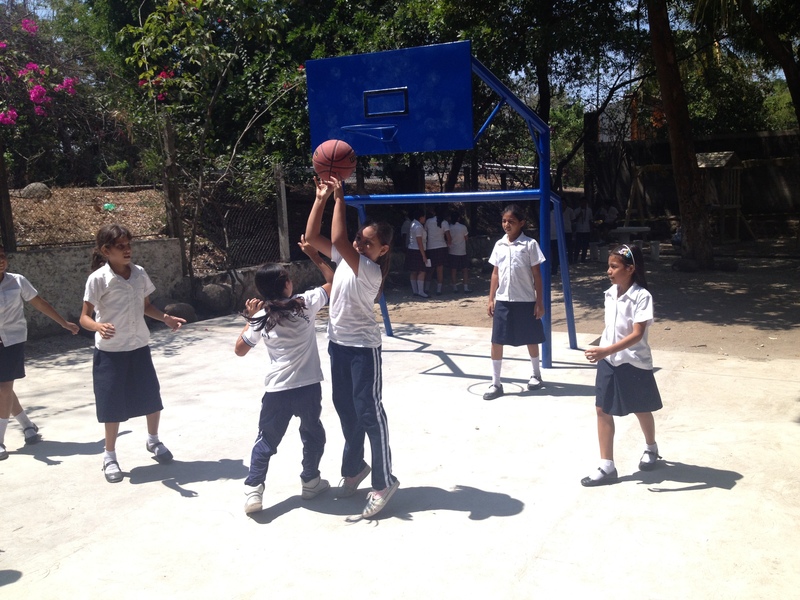 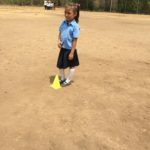 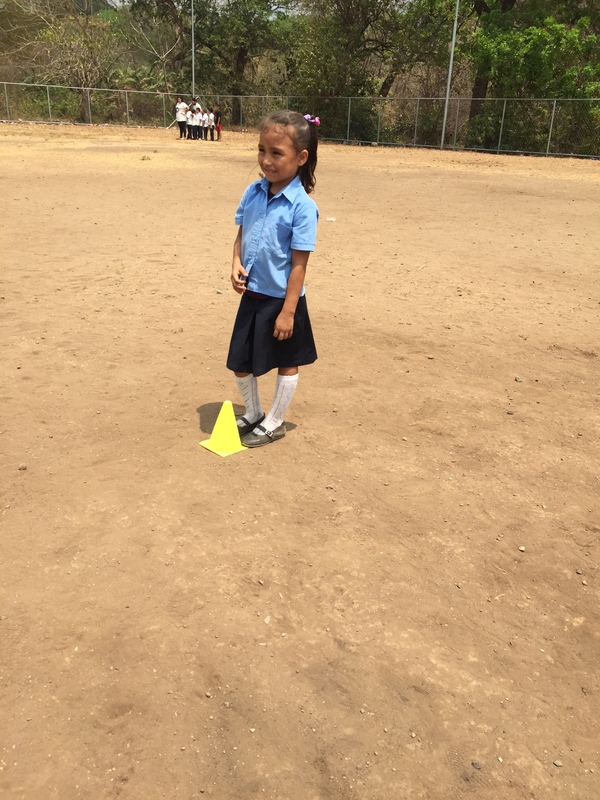 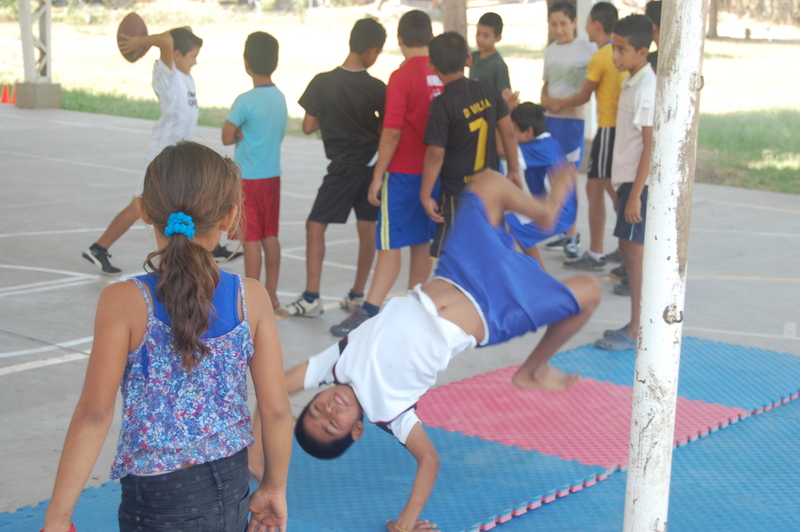 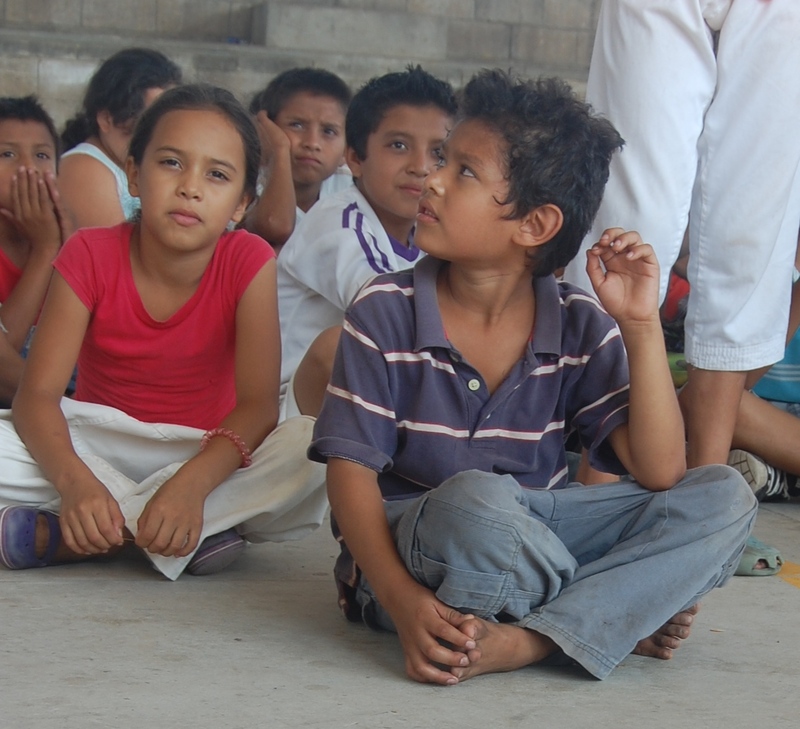 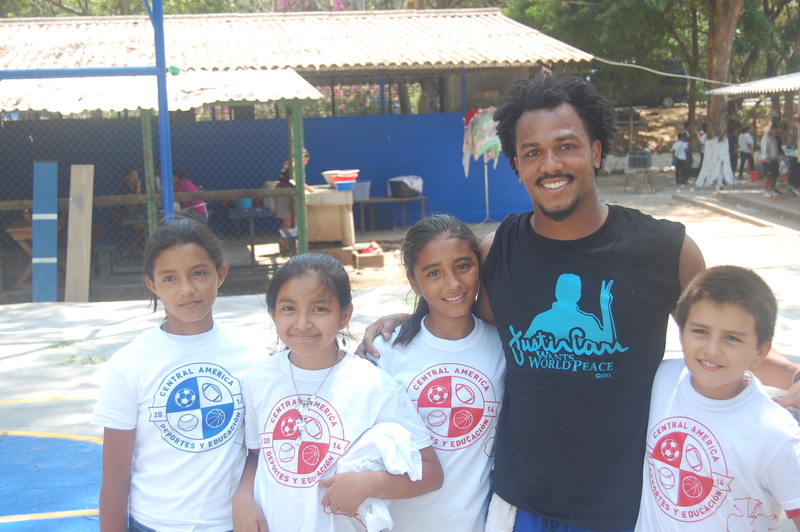 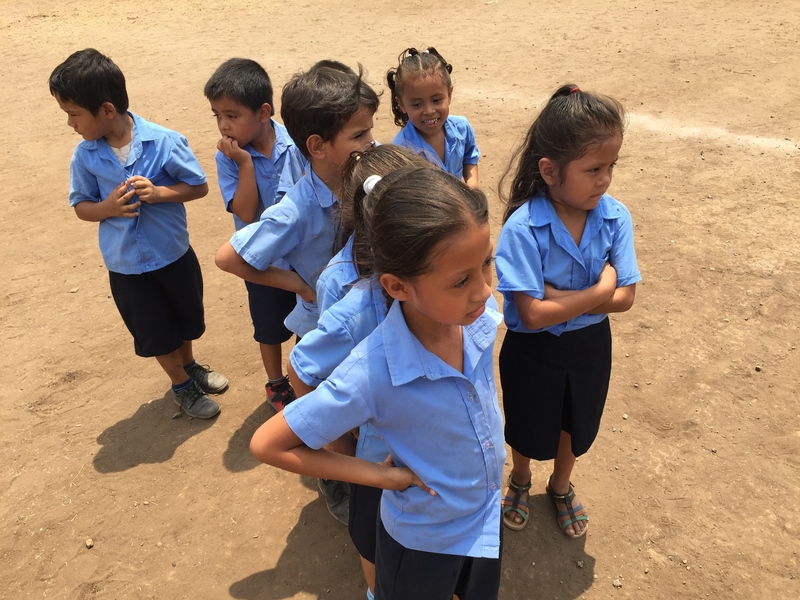 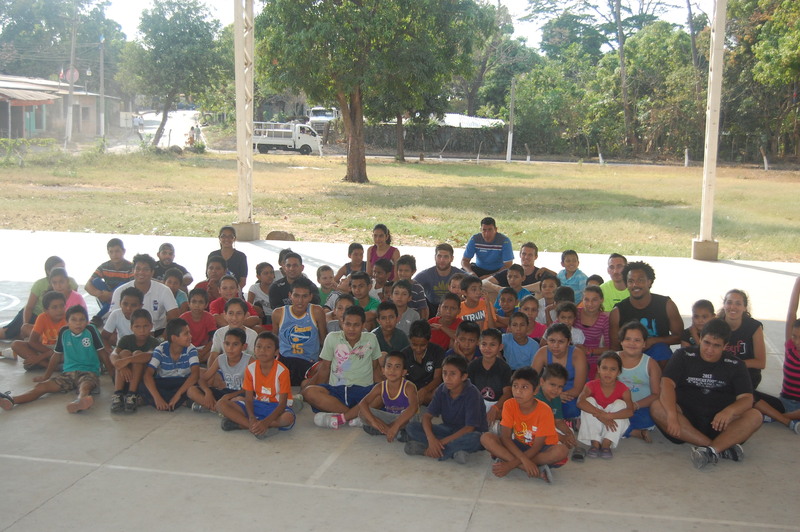 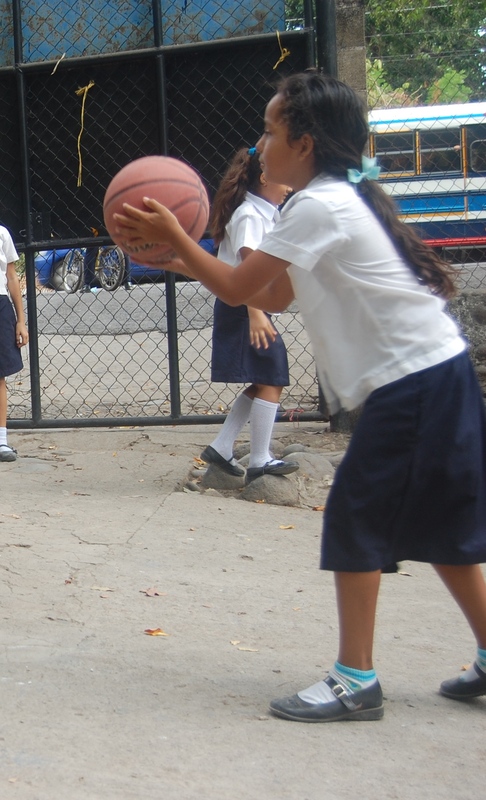 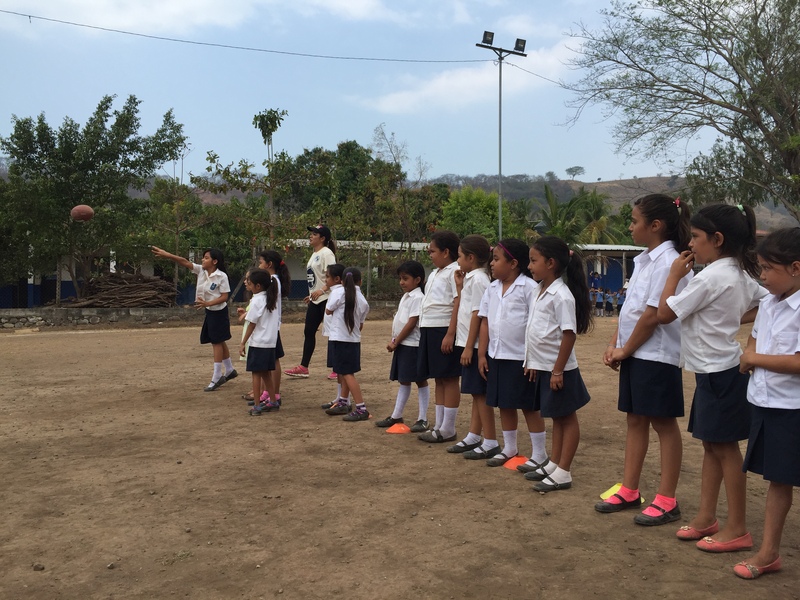 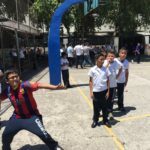 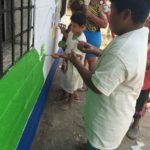 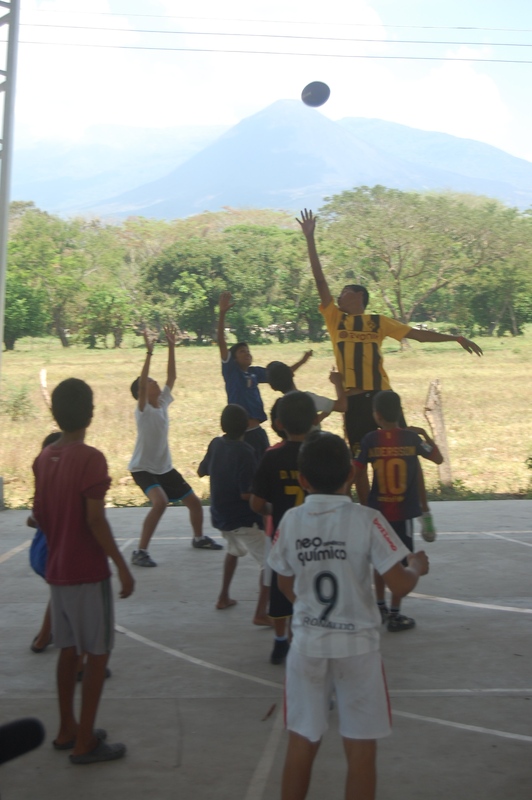 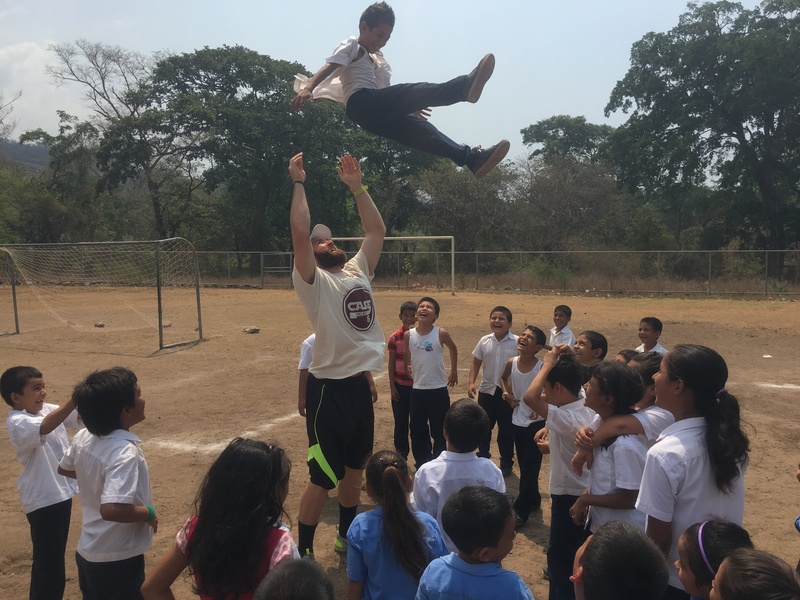 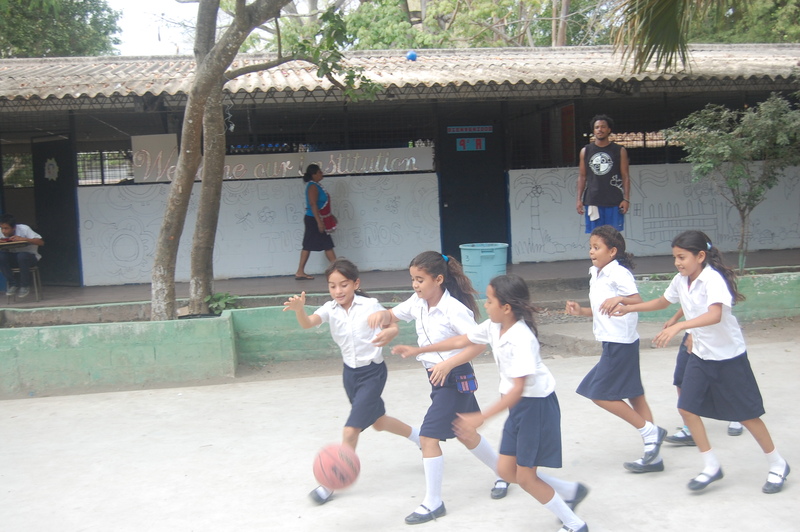 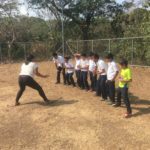 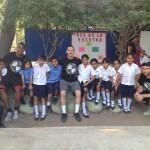 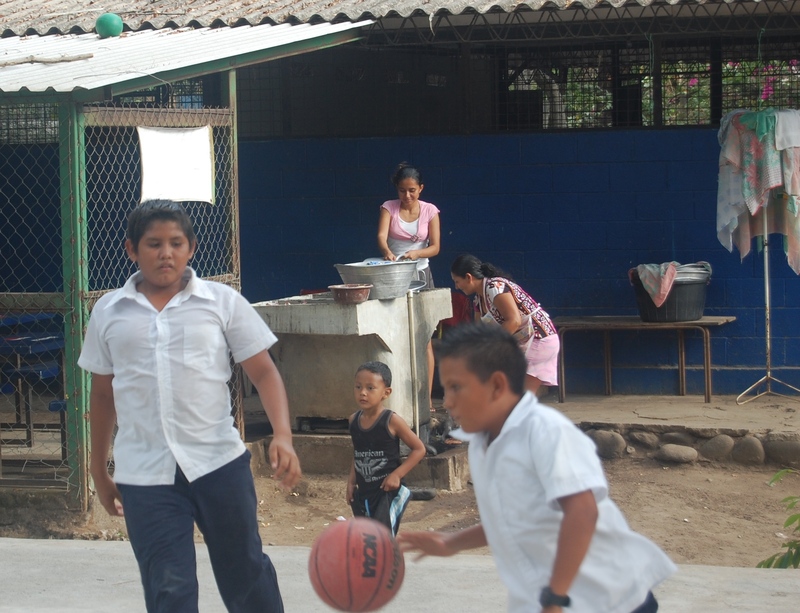 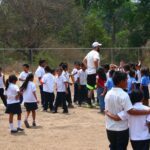 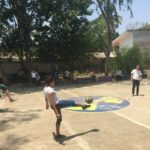 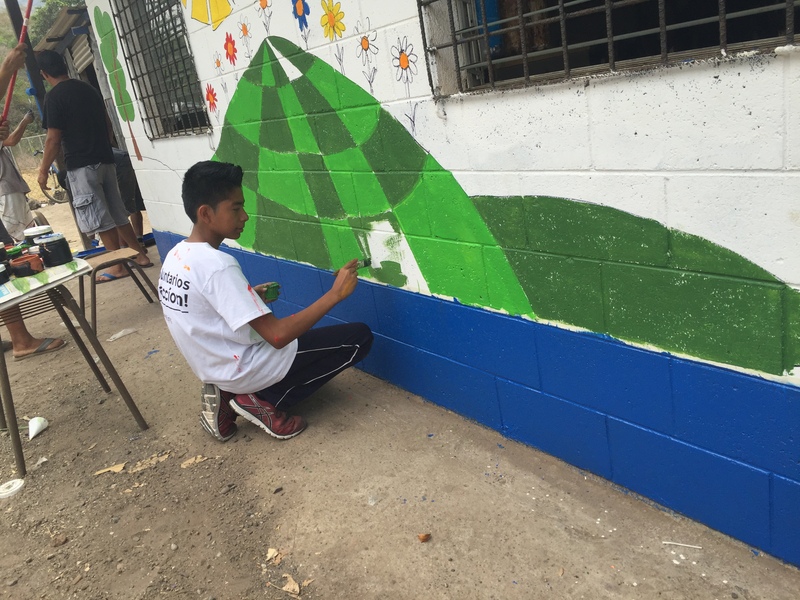 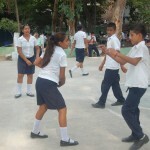 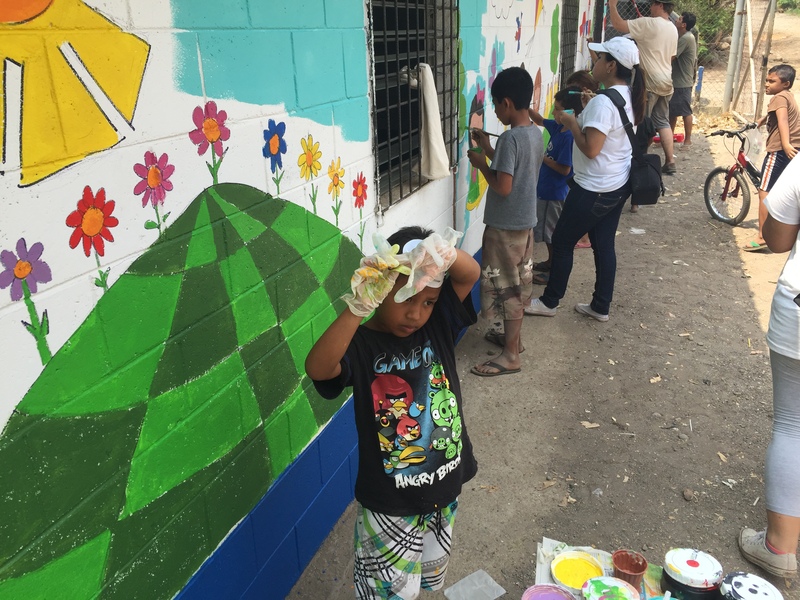 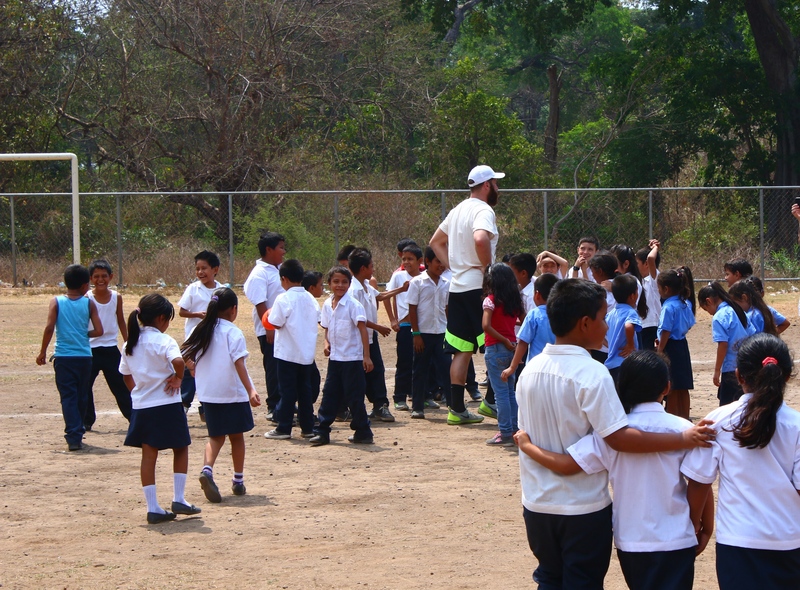 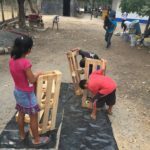 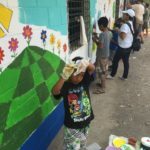 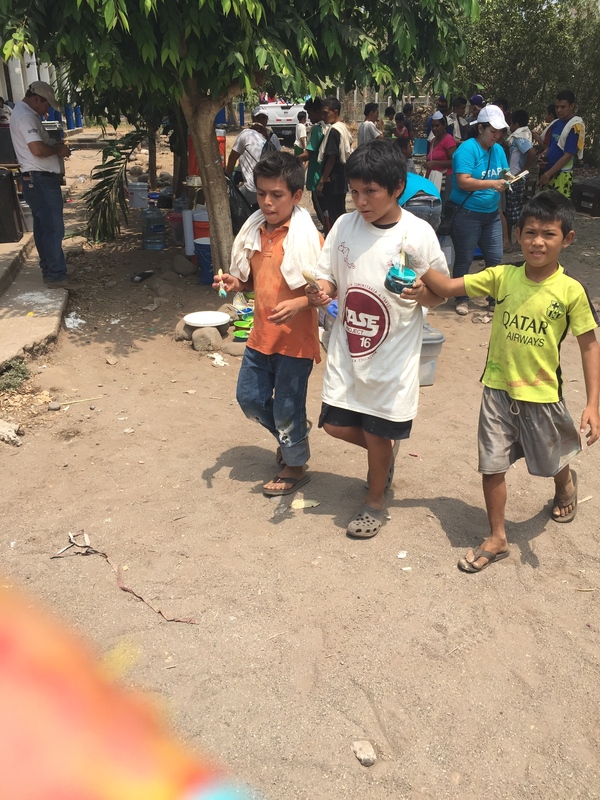 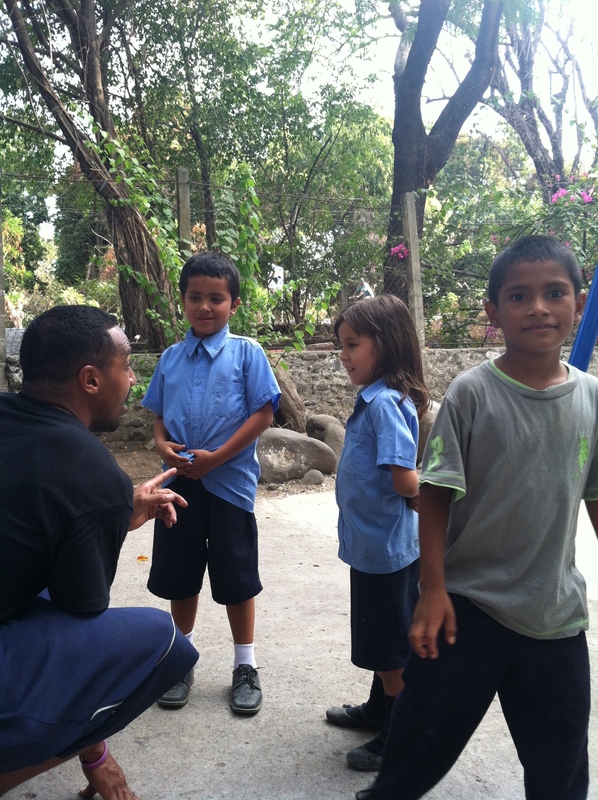 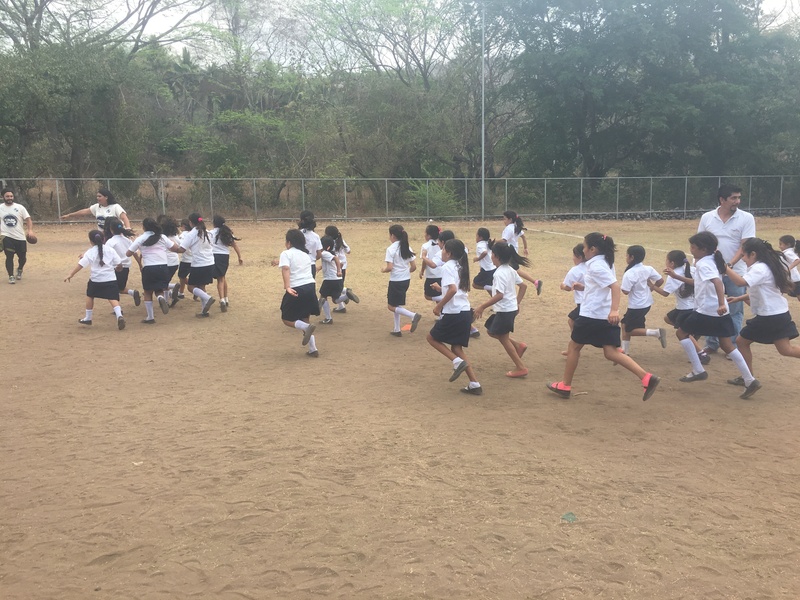 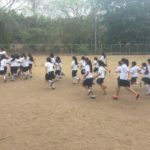 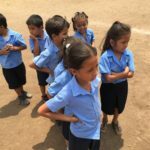 As part of the school rebuild at Complejo Educativo El Sunzal, CASEProject put on 3 days of sports camps for the Kindergarten through 12th grade aged student body at the El Tunco Campus. 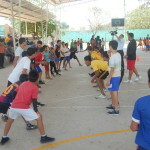 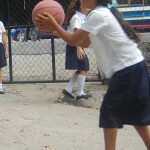 Morning and afternoon camps covered American football, basketball, and soccer on consecutive days with the most gratifying accomplishment being the huge spike in involvement from the female student body for the basketball day. 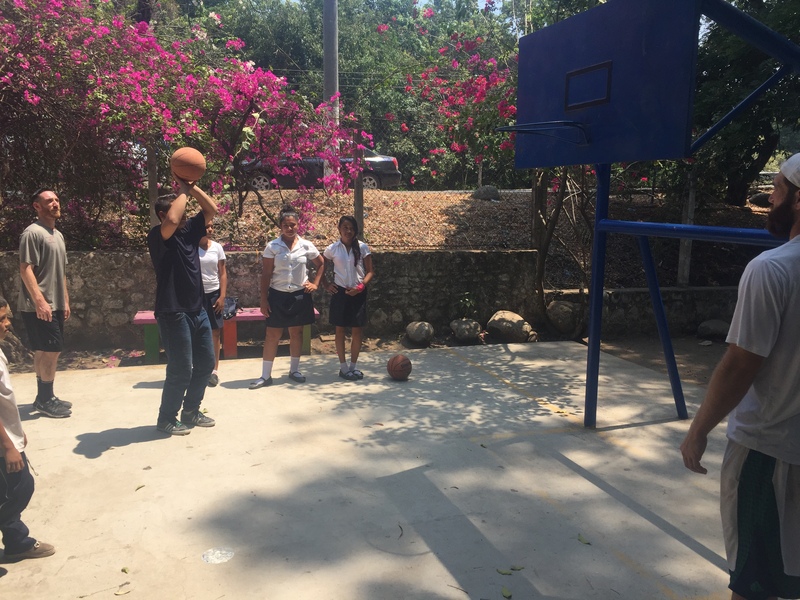 Dealing with footwear inequalities (Mary Jane slip-ons) basketball became the predominate sport for the girls and the CASE crew was ecstatic with the female participation that ensued. 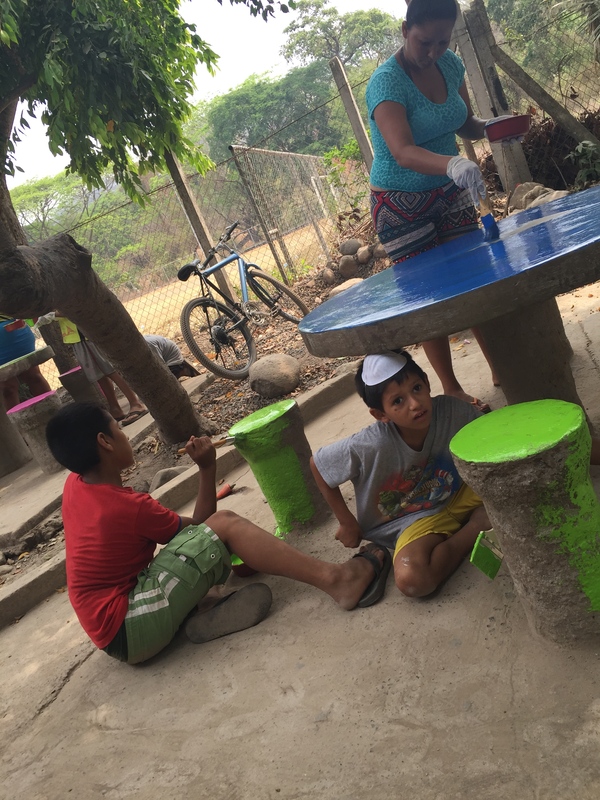 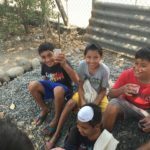 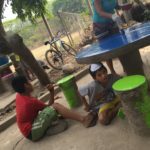 The 45 minute drive from San Salvador out to the municipality of Caluco brought CASEProject to the countryside of El Salvador and into a beautiful community center built and fought for by the residents of Caluco. 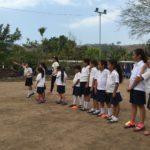 It was a beautiful facility made up of a covered multi-purpose field, community center/educational facility, garden, and cooking school/restaurant. 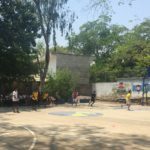 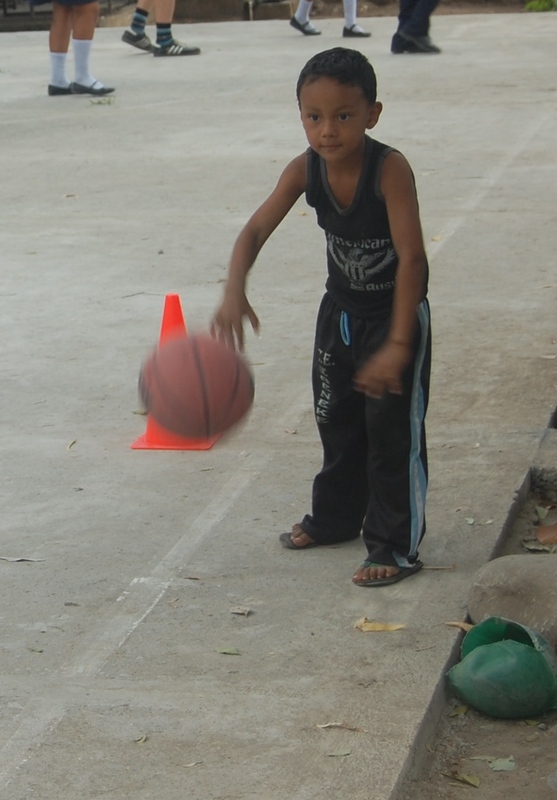 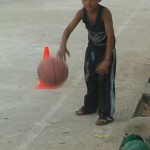 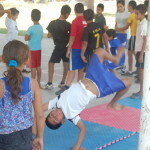 The kids were well versed and proficient in organized sports clearly having taken full advantage of the resources provided to them at the community center. 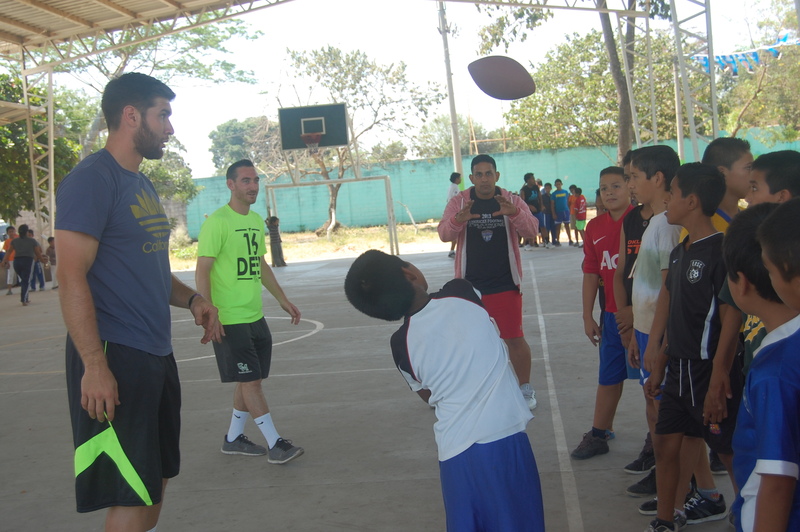 CASEProject expanded the community’s sports knowledge with a camp focused on introductory American football drills and also donated some sports equipment including footballs and cones for the community to continue to teach the game after CASEProject had departed.